Researched and written by Mary Alexander. Updated 11 October 2018. 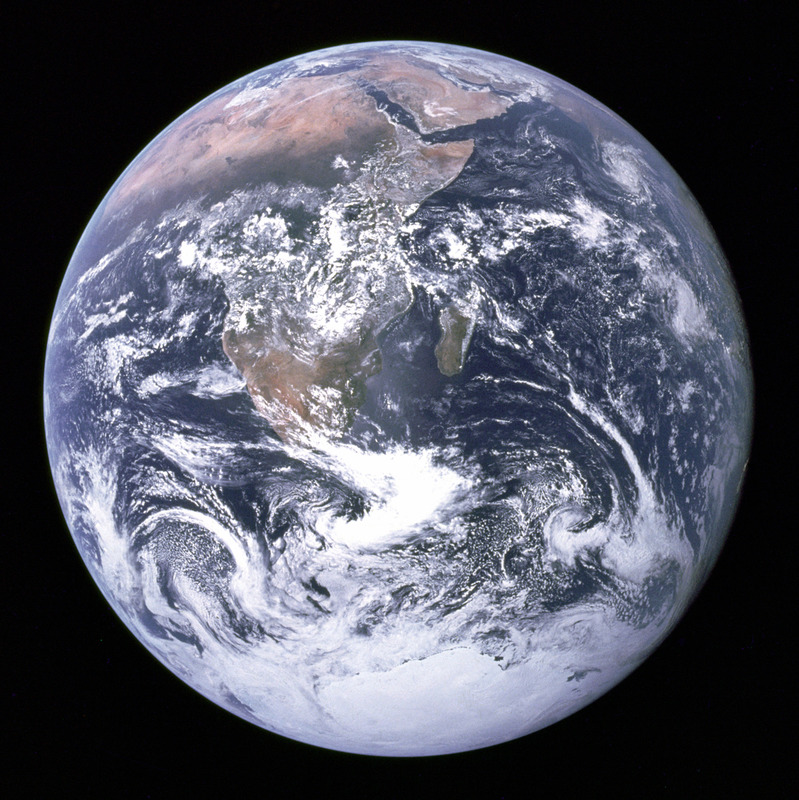 The iconic Blue Marble image of the earth was taken with a hand-held Hasselblad camera by a Nasa astronaut on the Apollo 17 mission to the moon in December 1972. 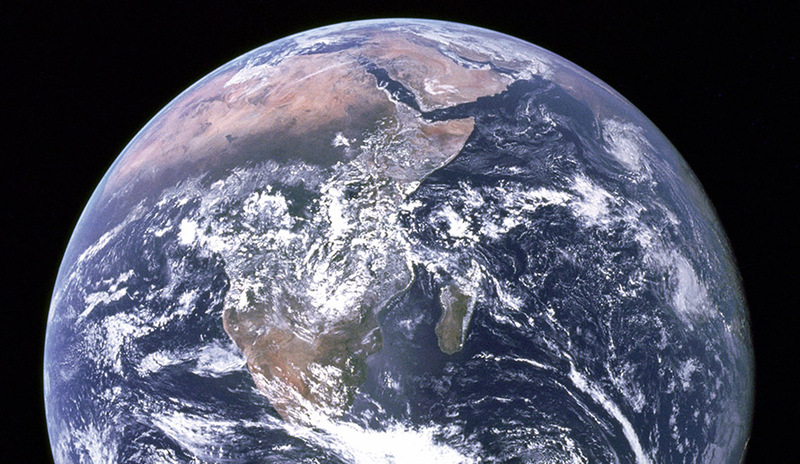 In this, the most famous and most often reproduced photo of our planet, the continent of Africa dominates. Africa is our second-largest continent, taking up over 20% – one-fifth – of the world’s land area. 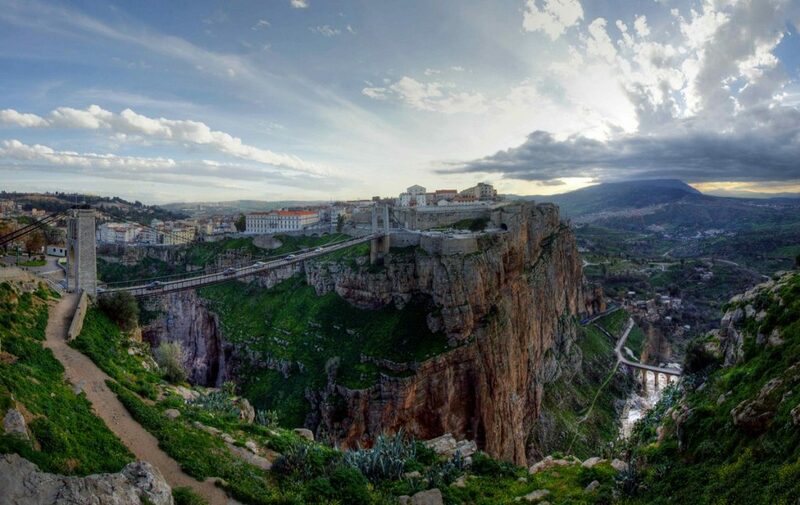 Dusk falls over Constantine, an ancient city on the Mediterranean coast of northern Algeria. World Heritage Site: The Casbah of Algiers, a citadel founded on the ruins of old Icosium, a Phoenician and later Roman city. Mosques dating back to the 17th century can be found there. Born in Algeria: Screen actor Sofia Boutella was born on 6 April 1982 in Bab el Oued, Algeria. She most recently starred the Hollywood movies The Mummy (2017), Atomic Blonde (2017), Star Trek: Beyond (2017) and Kingsman: The Secret Service (2014). Did you know? Afro-Caribbean philosopher Frantz Fanon joined the National Liberation Front fighting French colonialism during the Algerian Revolution of 1958 to 1962. Fanon’s writing helped inspire liberation struggles across the world, including South Africa’s. 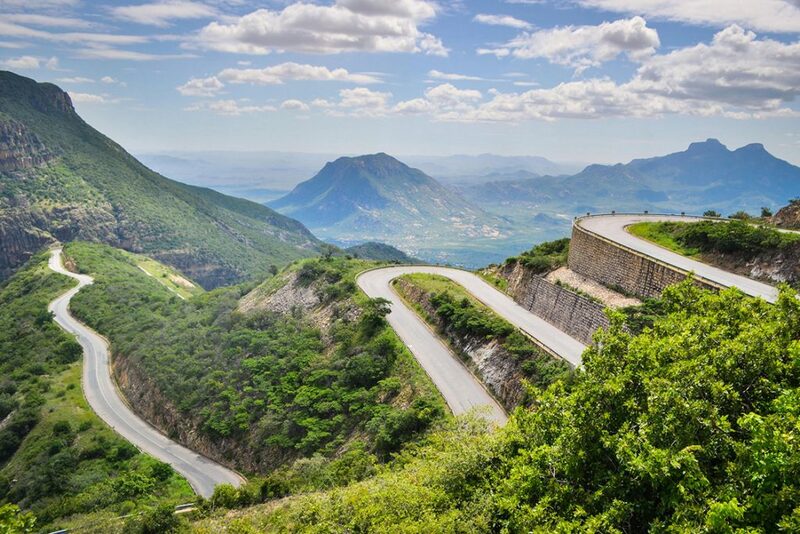 Angola’s Serra da Leba high mountain pass lies at 1,845 metres (6,053 feet) above sea level in the province of Huíla, in the southeast of the country. World Heritage site: M’banza Kongo, capital of the Kingdom of Kongo, which flourished as one of the largest states in southern Africa from the 14th to the 19th century. Born in Angola: Cabo Snoop, an MTV-nominated kuduro dancer and musician. Did you know? From 2001 to 2010, Angola had the fastest-growing economy in the world, with an average GDP growth rate of 11% a year. 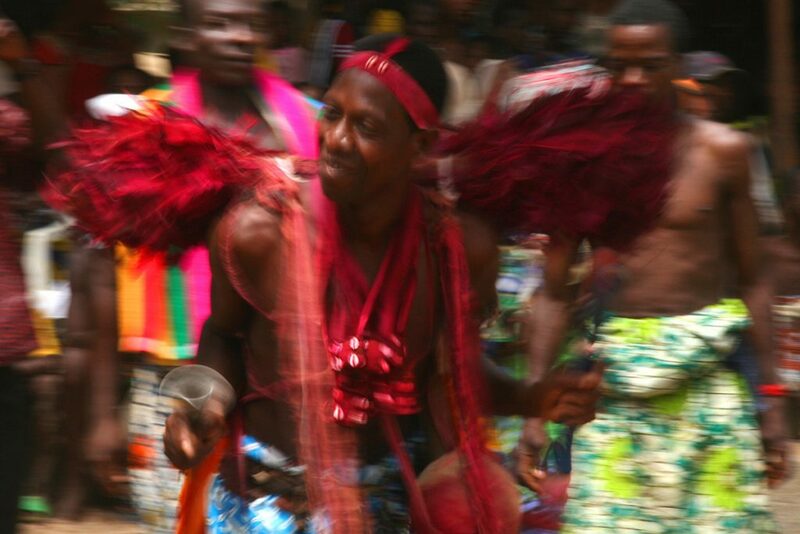 In Possotomè, an arrondissement in the Mono department of Benin, a man takes part in the massive Vodun dance competition held every year by people from villages scattered along the shores of Lake Aheme. World Heritage Site: The Royal Palaces of Abomey, the seat of 12 successive kings who ruled the powerful Kingdom of Abomey from 1625 to 1900. Born in Benin: Hollywood actor Djimon Hounsou, who starred in Gladiator (2000), Blood Diamond (2006) and Guardians of the Galaxy (2014). Did you know? The Guardian has ranked Beninese musician Angélique Kidjo as one of its 100 Most Inspiring Women in the World, while Forbes listed her as the first woman among the 40 Most Powerful Celebrities in Africa. 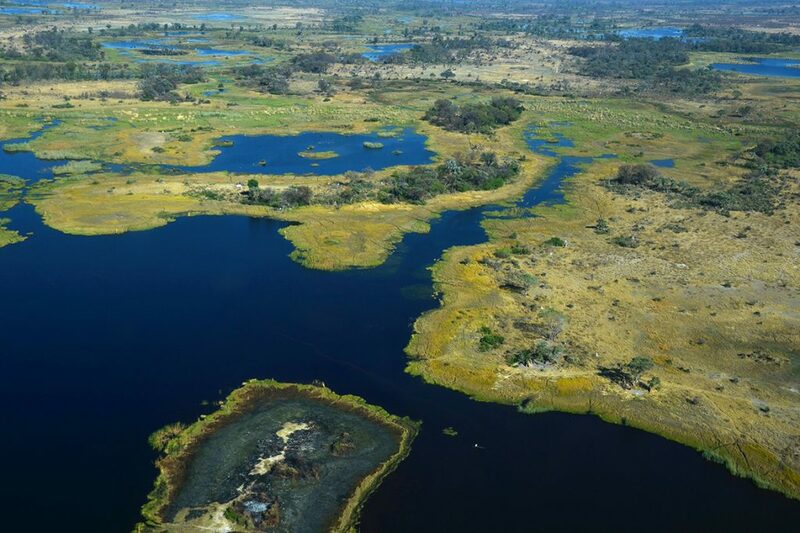 Botswana’s Okavango Delta, a Unesco World Heritage Site, is one of the three largest inland deltas in the world, all found in Africa. It was once part of the ancient Lake Makgadikgadi, an inland sea that emptied out and dried up between 20,000 and 10,000 years ago. World Heritage Site: Known as the ”Louvre of the Desert”, Tsodilo in the Kalahari Desert contains over 4,500 well-preserved rock paintings produced over the past 100,000 years. Born in Botswana: DJ Fresh, real name Thato Sikwane, a well-known South African DJ, music, radio and TV producer and host on Metro FM. Did you know? Botswana is consistently ranked as the least corrupt country in Africa by Transparency International’s Corruption Perceptions Index, coming in at 35th out of 176 countries on the 2016 list. 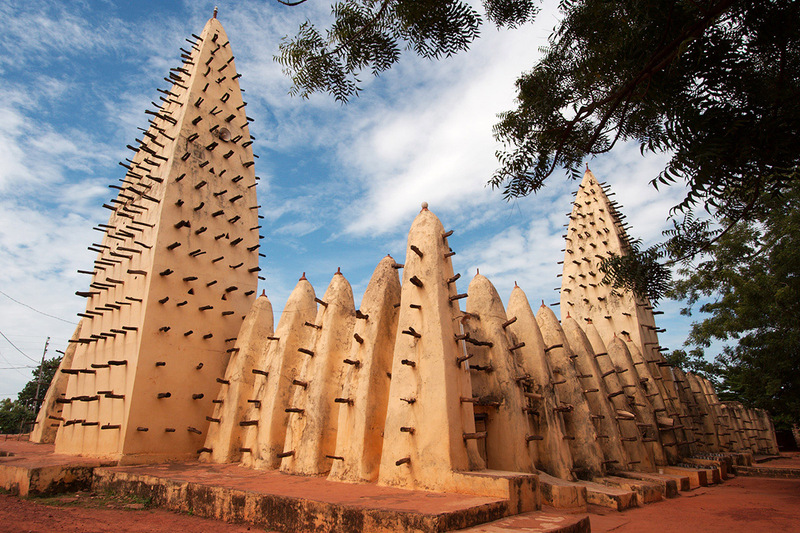 The Grand Mosque in the city of Bobo-Dioulasso, in the southeast of Burkina Faso. Possibly the largest example of Sudano-Sahelian architecture in the country, the mosque was built in the 1880s as a part of political agreement between the king of Sya and Islamic religious leader Almamy Sidiki Sanou. World Heritage Site: The 1,000-year-old Ruins of Loropéni, an imposing stone fortress that was the centre of the trans-Saharan gold trade from the 14th to 17th century. Born in Burkina Faso: Actor Jacky Ido, who played French projectionist Marcel in the Quentin Tarantino film Inglourious Basterds (2009), and New York cab driver Leo Romba in the TV series Taxi Brooklyn (2014). Did you know? Every two years Burkina Faso hosts Fespaco, the Pan African Film and Television Festival of Ouagadougou, the largest film festival in Africa. The shores of Lake Tanganyika with Burundi’s capital of Bujumbura in the distance. Heritage Site:: The royal domain of Gishora was founded by the Mwami Ntare Rugamba in the first half of the 19th century after its victory over the rebel leader Ntibirangwa. Born in Burundi: Shabani Nonda, a retired professional footballer who played for the DRC national team as well as for FC Zürich, Rennes, Monaco, Roma and Blackburn Rovers. Did you know? Burundi’s strong spoken storytelling tradition spreads oral history and life lessons through stories, poetry, and song. Its literary genres include imigani, indirimbo, amazina and ivyivugo. 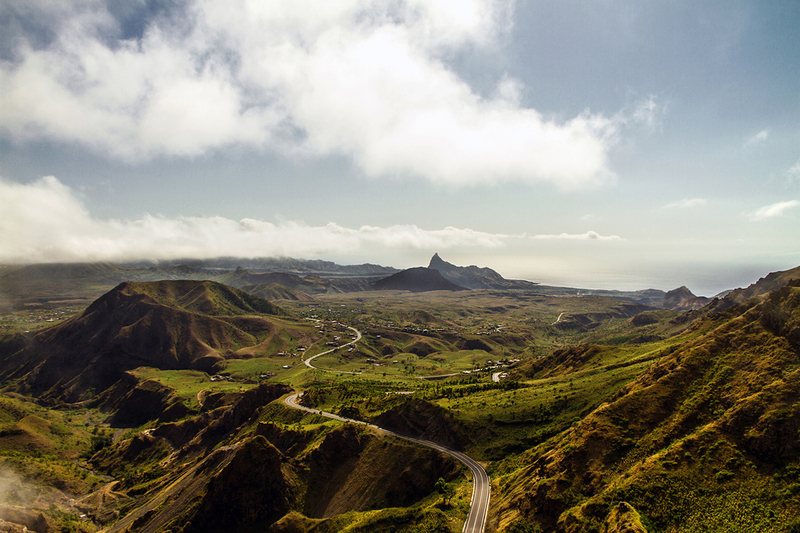 The São Miguel region in northeastern part of Santiago, the largest island in the Cabo Verde archipelago. World Heritage Site: Cidade Velha, built in the 1460s as the first European town in the tropics. The founding of the town marked a decisive step in Europe’s colonisation of Africa. Born in Cabo Verde: Luís Nani, a professional footballer who plays for Portugal’s national team. Did you know? 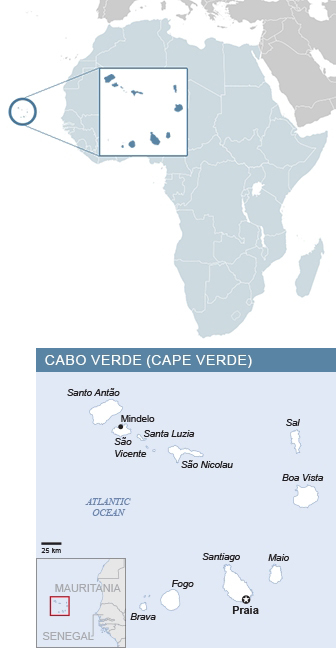 The Cabo Verde emigrant diaspora in Europe, the Americas and on the African continent numbers some 500,000 – equal to the total population remaining on the islands. The Mandara Mountains near Rhumsiki in the Far North Province of Cameroon. Sixteen 15th-century archaeological sites have been identified in Mandara region. Known as Diy-gid-biy (or “place of chiefly residence”), these granite strongholds have been described as the most remarkable indigenous stone-built structures in sub-Saharan Africa outside the Horn and the southern African Zimbabwe complex. World Heritage Site: The Dja Faunal Reserve is one of Africa’s largest and best-protected rain forests, almost completely surrounded by the Dja River and sheltering 107 mammal species, five of them threatened. Born in Cameroon: Legendary footballer Roger Milla, one of the first African players to be a major star on the international stage. He played in three World Cups for the Cameroon national team. Did you know? The city states of the Sao civilisation flourished around Lake Chad and the Chari River in today’s Cameroon from as early as the sixth century BCE, reaching their apex between the ninth and fifteenth centuries CE. 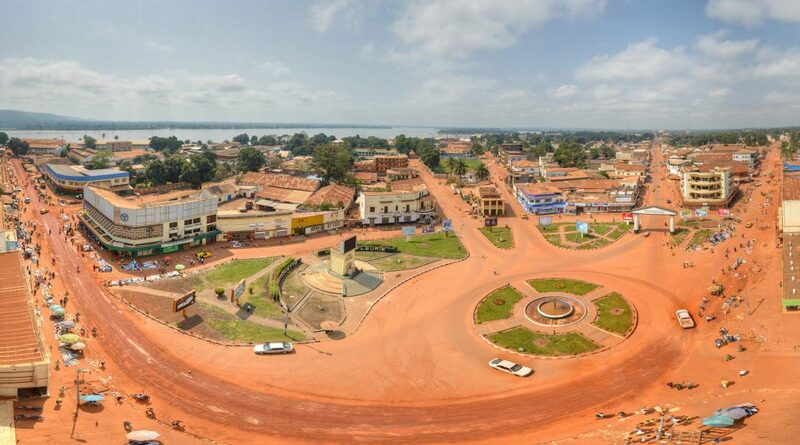 The centre of Bangui, the capital of the Central African Republic. The Democratic Republic of the Congo is on the other side of the Oubangui river, at left. World Heritage Site: Manovo-Gounda St Floris National Park, whose importance of derives from its wealth of flora and fauna. Born in Central African Republic: Olympic track athlete Ferdinand Amadi. Did you know? The Central African Republic is the focal point of the Bangui Magnetic Anomaly, one of the largest magnetic anomalies on Earth. 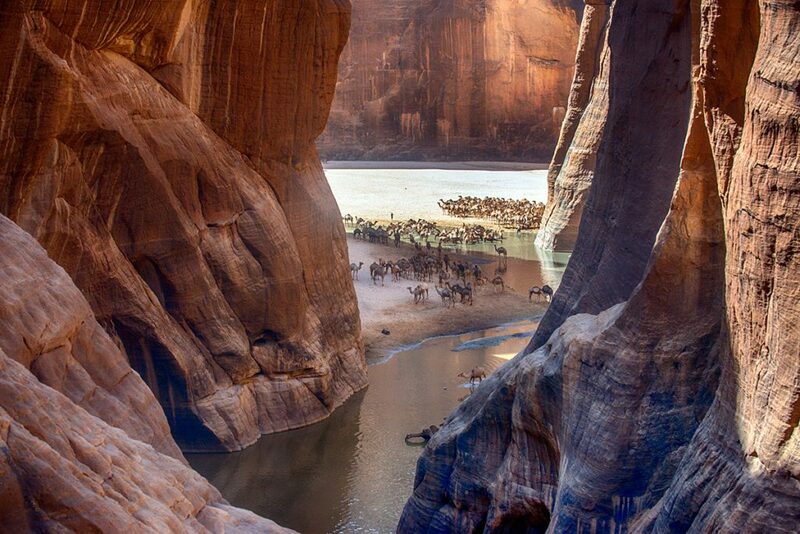 World Heritage Site: The Lakes of Ounianga, a series of lakes in the Sahara Desert. Born in Chad: Screen actor Youssouf Djaoro, whose films include Dry Season (2006), DP75: Tartina City (2007), A Screaming Man (2010), GriGris (2013) and Ariane’s Thread (2014). Did you know? During the Second World War, the Free French Forces fighting the German occupation of France and French colonial territories included 15,000 soldiers from Chad. The fishing harbour of Moroni on Grande Comore. 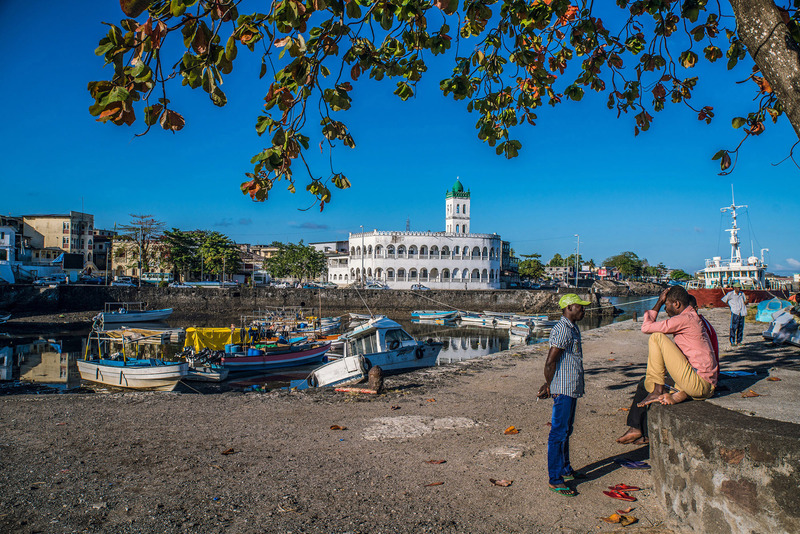 Moroni is the capital of the island and of the Comoros archipelago. In the background is the Ancienne Mosquée de Vendredi (Old Friday Mosque), built in 1427. Born in Comoros: Musician Nawal, known as the Voice of the Comoros, has mesmerised lovers of world music with her fusion of Arab, Indian and African sounds. Did you know? Notorious French mercenary Bob Denard was complicit in attempts to overthrow the government of Comoros four times, in 1975, 1978, 1989 and 1995. It has been suggested that these actions were variously backed by the governments of France, apartheid South Africa and white-ruled Rhodesia (today’s Zimbabwe). A view of the twin Congo capitals, facing each other across the Congo River. In this 2003 photo taken from the International Space Station, the smaller city of Brazzaville, capital of the Republic of the Congo, is at upper left. 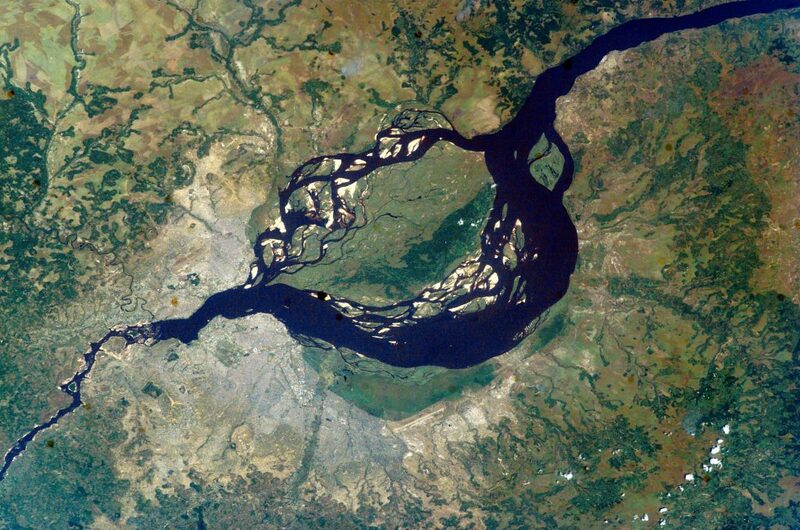 The much larger grey area at lower left is Kinshasa, capital of the Democratic Republic of the Congo. The cities lie at the point where the Congo River becomes navigable upstream, widening to the east into Pool Malebo – previously named Stanley Pool, in honour of himself, by the brutal 19th century British-American explorer Henry Morton Stanley, who prospected the region on behalf of King Leopold II of Belgium. World Heritage Site: The 490,000 hectare Garamba National Park covers vast grass savannahs and woodlands interspersed with gallery forests and marshland. Born in the DRC: Humanitarian and legendary basketball player Dikembe Mutombo. At 2.18 metres tall (7 ft 2 in), Mutombo played a full 18 seasons in the American NBA. Did you know? Atrocities and forced labour during the exploitation of the Congo by King Leopold II of Belgium from 1885 to 1908 led to the death of 10-million people – half the country’s population at the time. 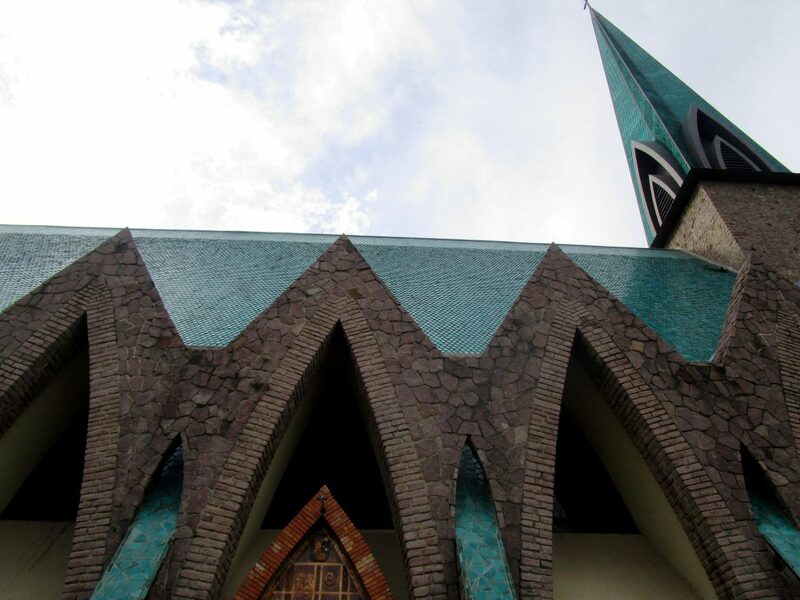 The Basilica of Saint Anne in Brazzaville, the capital of the Republic of the Congo, is a Catholic church built in the 1940s using a mix of European and African design styles. The massive green-tiled building is 85 metres long, with a transept 45 metres wide and a 22-metre-high arch. Born in the Republic of the Congo: Basketball centre Serge Ibaka who plays for Oklahoma City Thunder in the NBA. Did you know? 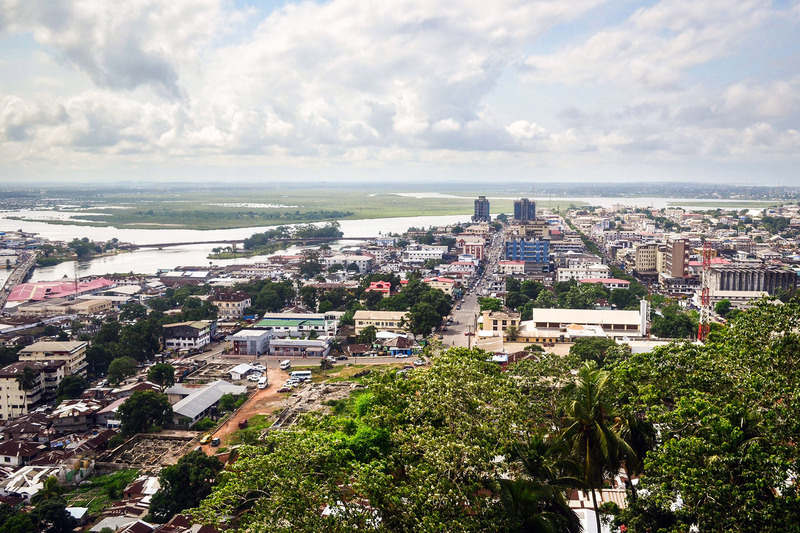 Brazzaville is named after the Italo-French explorer Pierre Savorgnan de Brazza, whose treaty of protection with local leader Makoko of the Téké led to the land being surrendered to the French Empire. An aerial view of the district of Plateau in the Côte d’Ivoire capital of Abidjan. 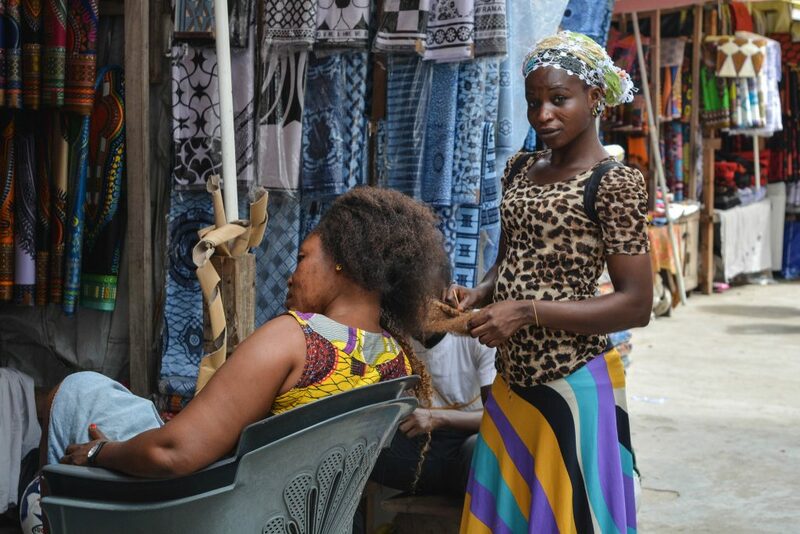 World Heritage Site: The historic town of Grand-Bassam, the first capital of Côte d’Ivoire, is an example of a late 19th-century colonial town planned with quarters specialising in commerce, administration, and different housing for Europeans and Africans. Born in Cote d’Ivoire: Professional footballer Didier Drogba, who currently plays for US club Phoenix Rising FC. Did you know? Cote d’Ivoire is the largest producer and exporter of cocoa beans in the world, at 30% of the global total. 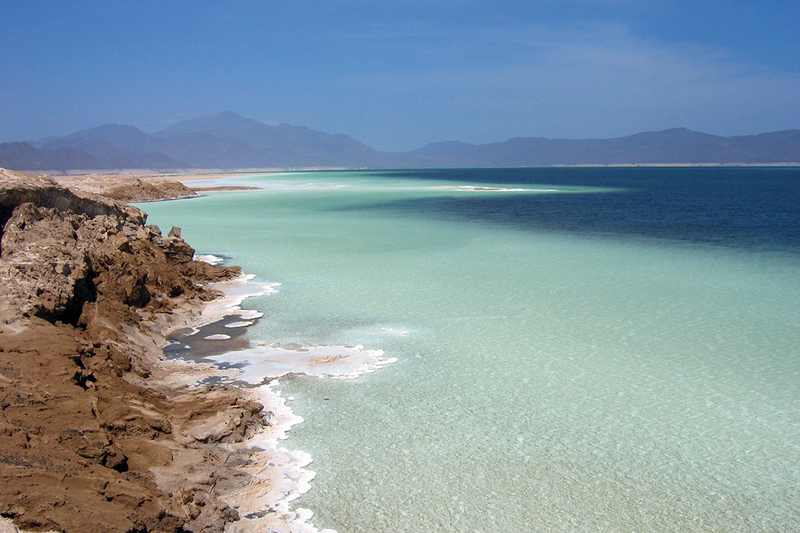 Lake Assal, a crater lake in the Afar Triangle, lies on the northern tip of the Great Rift Valley. At 155 metres (509 feet) below sea level, the lake is the lowest point on land in Africa and the third-lowest on Earth after the Dead Sea and Sea of Galilee. With no water outflow, the lake is 10 times more saline than the sea, the second most saline body of water on the planet, and holds the world’s largest salt reserve. National heritage site: The Abourma petroglyphs, several thousand Neolithic images carved in cave walls depicting humans, wildlife, hunting and warfare, dating back to 3,000 BCE. Born in Djibouti: Singer Awaleh Aden. Did you know? Djibouti is strategically located near the world’s busiest shipping lanes, controlling access to the Red Sea and Indian Ocean and serving as a key refuelling and transshipment centre. 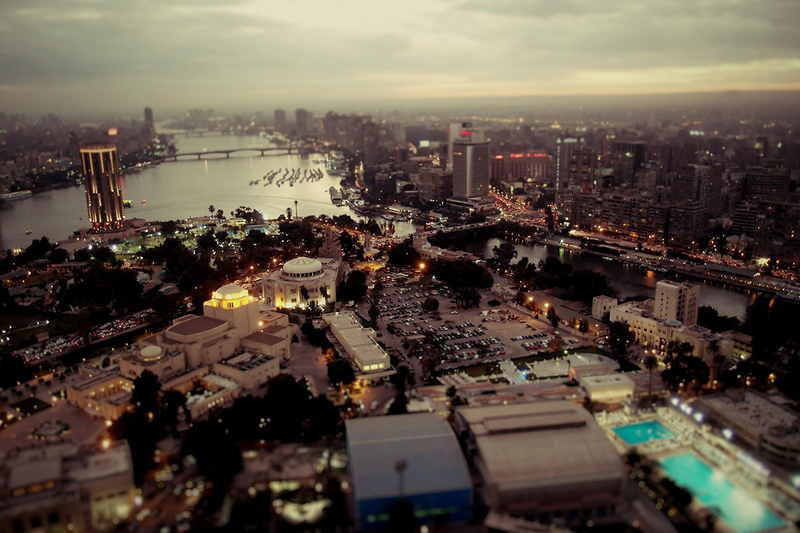 A view of the Nile River and Egypt’s capital city of Cairo from the Cairo Tower at sunset. World Heritage Site: Ancient Thebes, with its temples and palaces at Karnak and Luxor, and the necropolises of the Valley of the Kings and the Valley of the Queens, is a striking testimony to Egyptian civilization at its height. Born in Egypt: Actor Omar Sharif made it big in Hollywood in the 1960s starring in hit movies such as Lawrence of Arabia and Doctor Zhivago. Did you know? Egypt has one of the longest histories of any modern country, emerging as one of the world’s first nation states some 12,000 years ago. Fishing boats, beach and rock formation on Annobón Island. Equatorial Guinea is made up of three geographic parts: the mainland on the African continent, the island of Bioko in the Gulf of Guinea, and Annobón, a small volcanic island south of the equator. National heritage site: Iron Age burial sites on the Island of Corisco, also known as Mandji, with intact 1,500-year-old tombs containing artefacts such as axes, spears, anklets, bracelets and unbroken pots. Born in Equatorial Guinea: Álvaro Cervera Díaz, a retired professional footballer who played 12 seasons for the Spanish La Liga. Did you know? 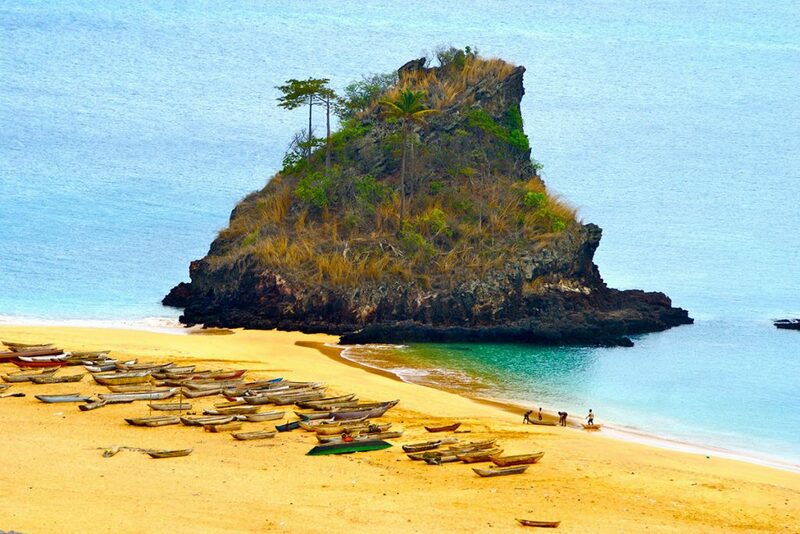 The people of the Equatorial Guinea island of Annobón are originally Angolan, brought there by Portuguese slavers in the 18th and 19th centuries. 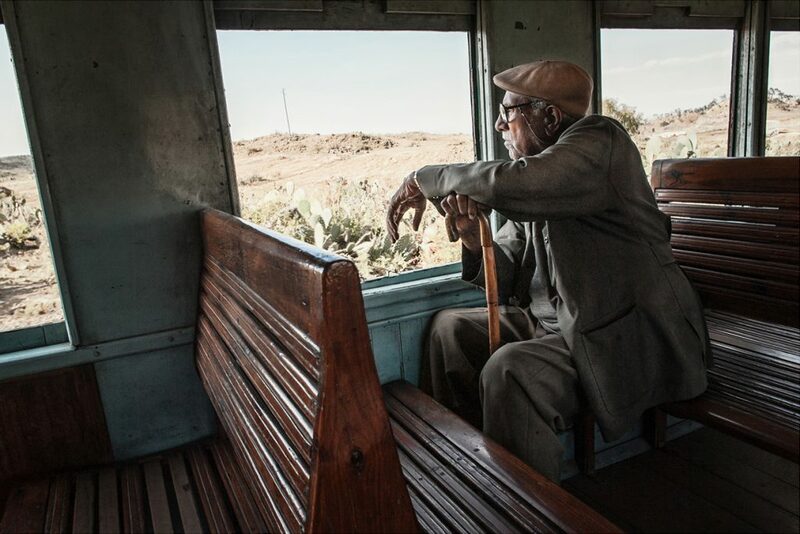 A man looks out from a carriage on the Eritrean railway line between the capital of Asmara and the coastal city of Massawa. Built between between 1887 and 1932, Eritrea’s rail system still uses vintage rolling stock. World Heritage Site: The historic perimeter of Asmara represents perhaps the most concentrated and intact assemblage of Modernist architecture in the world. Its urban design has remained untouched since the 1930s. Born in Eritrea: American TV actor, model and producer Ella A Thomas. Did you know? The name Eritrea is based on the Greek for the Red Sea – Erythra Thalassa – and was first adopted for Italian Eritrea in 1890. 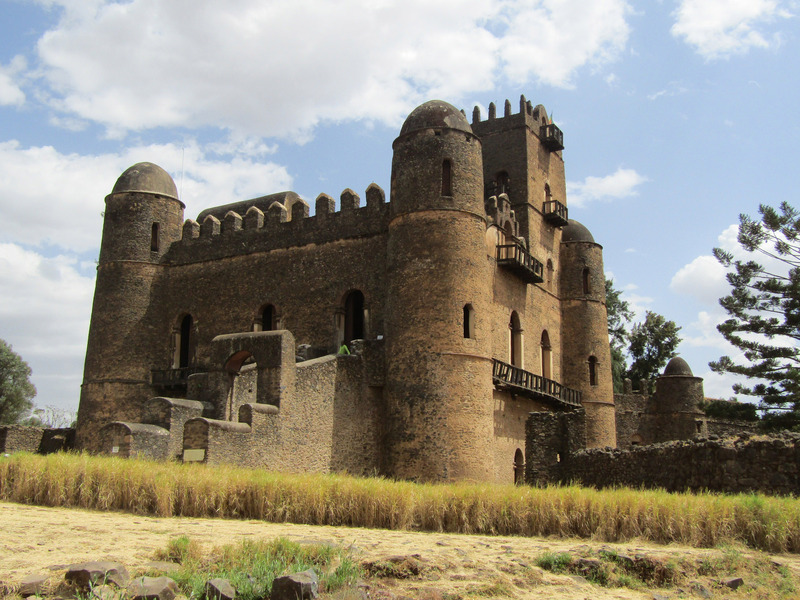 Fasilides Castle in the walled Fasil Ghebbi fortress of Gondar, a city in northern Ethiopia. The fortress was built at the behest of Fasilides, emperor of Ethiopia from 1632 to 18 October 1667. World Heritage Site: Ruins of the ancient city of Aksum, once the most powerful state between the Eastern Roman Empire and Persia. Born in Ethiopia: Ruth Negga, Oscar-nominated film and theatre actor who starred in the films Loving (2016), Warcraft (2016), World War Z (2013) and Breakfast on Pluto, and in the TV series Preacher (since 2016) and Misfits (2010). Did you know? Ethiopia was the only African country never colonised by a European power, repeatedly defeating Italy in that country’s successive attempts at invasion in the late 19th century. 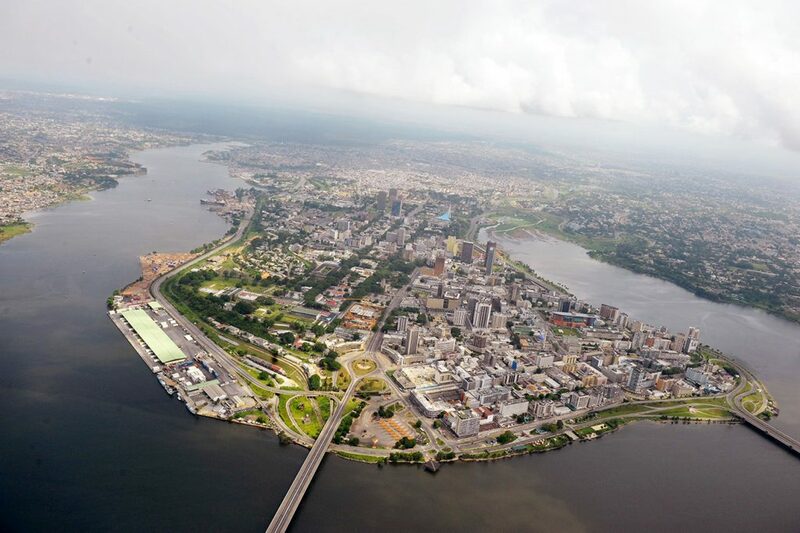 An aerial view of the coastal city of Libreville, the capital of Gabon. 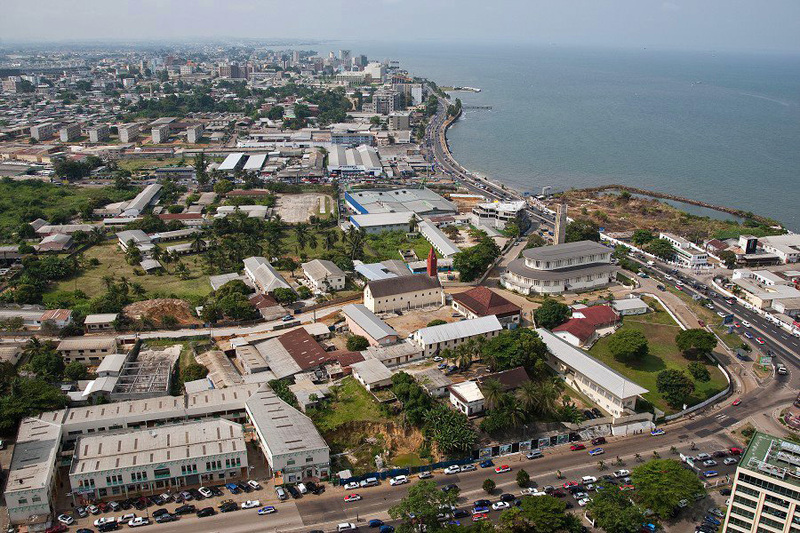 Libreville was established by French colonialists in 1849 and settled with freed slaves. World Heritage Site: The Ecosystem and Relict Cultural Landscape of Lopé-Okanda demonstrates an unusual interface between dense and well-conserved tropical rainforest and relict savannah environments with a great diversity of species, including endangered large mammals. Born in Gabon: Anthony Obame was the first Gabonese to win an Olympic medal – silver for men’s Taekwondo at the 2012 London games. Did you know? World-famous physician and Nobel Peace Prize winner Albert Schweitzer administered a hospital he established in the Gabonese town of Lambaréné in 1913. 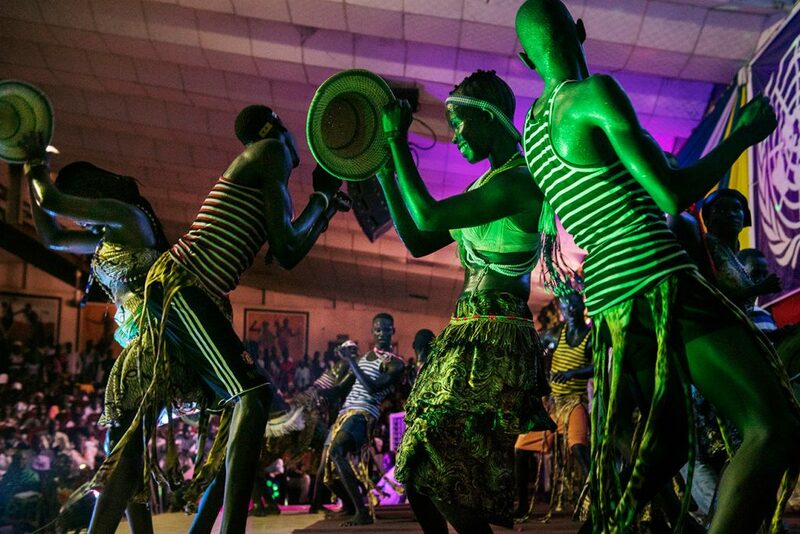 A dance festival in Dankunku, Central River, the Gambia. The tiny country’s rich music and dance traditions are the product of very diverse influences. World Heritage Site: Kunta Kinteh Island and related sites present a testimony to the main periods and facets of the encounter between Africa and Europe along the River Gambia, a continuum stretching from pre-colonial and pre-slavery times to independence. Born in the Gambia: UK-based writer and film, TV and theatre actor Louis Mahoney, who has appeared in Captain Phillips and Doctor Who. Did you know? Inland, the Gambia is entirely surrounded by the country of Senegal, with a strip to the west touching the Atlantic Ocean. It is the smallest country on mainland Africa. Hair braiding at Makola Market in Accra, the capital of Ghana. Photo credit Fiona Graham, WorldRemit, CC BY-SA 2.0. World Heritage Site: The Asante Traditional Buildings, found to the north-east of Kumasi, are the last material remains of the great Asante civilization that reached its high point in the 18th century. Born in Ghana: Kofi Annan served as UN secretary-general from 1997 to 2006, won the Nobel Peace Prize in 2001, and chairs The Elders, a group of veteran global leaders founded by Nelson Mandela. Did you know? In 1957 Ghana became the first sub-Saharan African nation to declare independence from European colonisation. 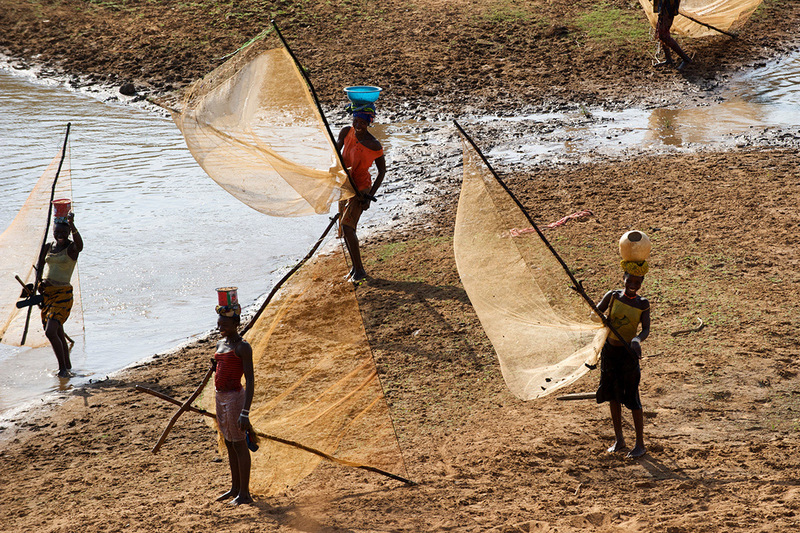 Fisherwomen on the banks of the Niger River in the Kankan region of northeastern Guinea, on the Mali border. 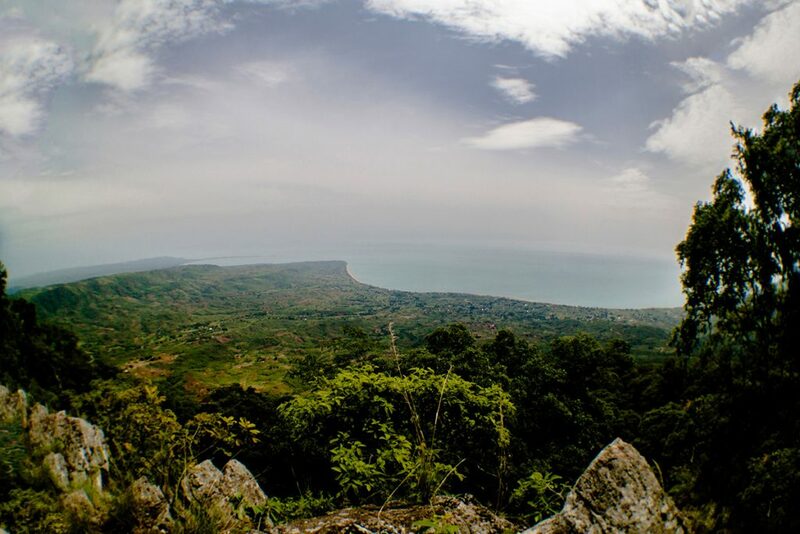 World Heritage Site: Mount Nimba, rising above the surrounding savannah, its slopes covered by dense forest at the foot of grassy mountain pastures, harbours rich flora and fauna that includes endemic species such as the viviparous toad. Born in Guinea: Guitarist and kora player “Grand” Papa Diabaté. Did you know? It is estimated that Guinea contains a full half of the world’s reserves of bauxite, the main source of aluminium. 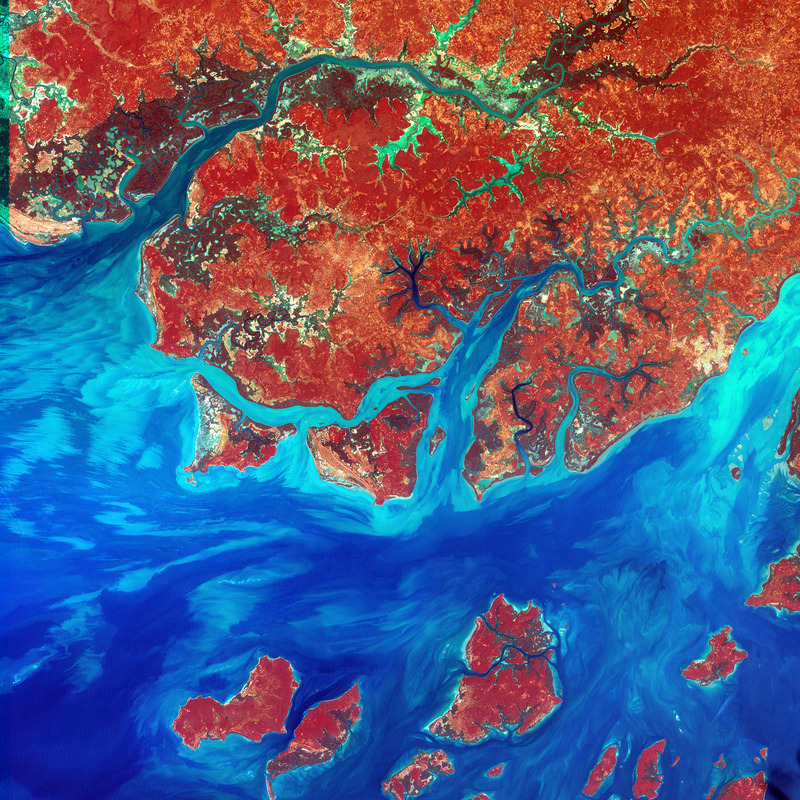 A false-colour composite satellite image of the rivers, coast and islands of Guinea-Bissau. 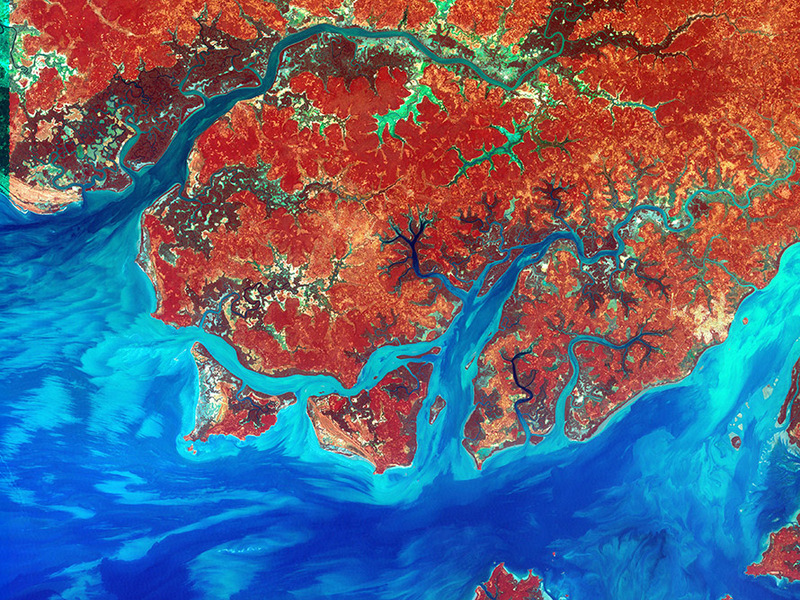 Infrared, red and blue light wavelengths bring out details of the complex patterns of the country’s shallow coastal waters, where silt carried by the Geba and other rivers washes out into the Atlantic Ocean. National heritage site: The Archipelago of Bijagos, consisting of 88 islands and islets, is the most biodiverse region of Guinea-Bissau. Born in Guinea-Bissau: Amílcar Cabral, an agricultural engineer, writer, nationalist thinker, and one of Africa’s foremost anti-colonial leaders. Did you know? The calabash is the primary musical instrument of Guinea-Bissau, used in extremely swift and rhythmically complex dance music such as gumbe. A panoramic view of Nairobi, Kenya’s capital and commercial centre. The city proper has a population of 3.1-million people, and its wider metropolitan area 6.5-million. Nairobi’s name comes from the Maasai “enkare nairobi”, or “cool water”, a reference to the Nairobi River which flows through the city. World Heritage Site: The Sacred Mijikenda Kaya Forests, 11 fortified villages set in forested land running over 200 kilometres along the coast. Known as kayas, the sites were first settled by the Mijikenda people in about 1560. Born in Kenya: Actor Edi Gathegi, who played the vampire Laurent in the Twilight movies, and Dr Jeffery Cole in the TV series House MD. Did you know? Flowers given to a loved one in New York may have grown in a field in Kenya. The country has become a major player in the global cut-flower market, shipping blooms to the US, Europe, Russia, Japan, Dubai, Australia and South Africa. 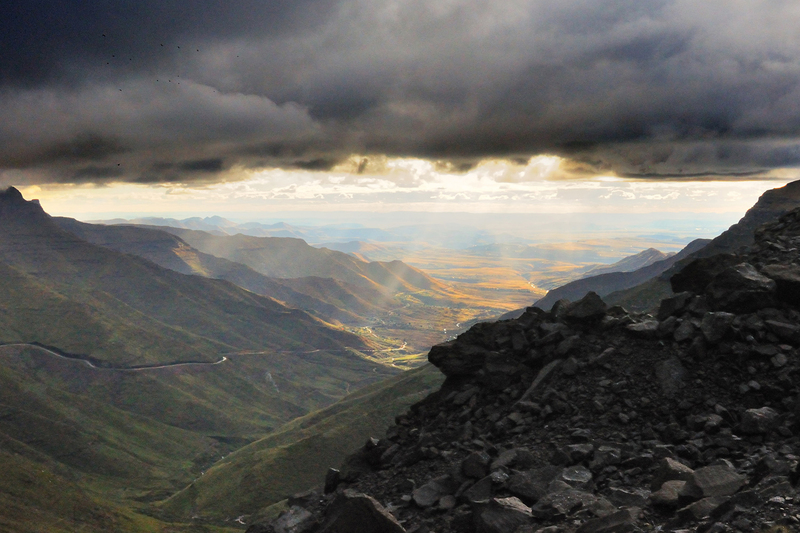 Dark clouds and sunshine in the Lesotho lowlands, close to the Fouriesburg border post into South Africa. These are just foothills in comparison to the rest of the mountainous country. Lesotho is the only country in the world which lies, in its entirety, over a kilometre above sea level. In fact, over 80% of its land is at an elevation of 1,800 metres or higher. World Heritage Site: The Maloti Drakensberg Transboundary World Heritage Site is known for its rock art and mountain landscape. Born in Lesotho: Dutch TV actor Maureen Eerdmans was born in Lesotho in 1974 and adopted by a Dutch family when she was one year old. Did you know? Basotho author Thomas Mofolo was one of Africa’s greatest early 20th century writers. His 1925 novel Chaka, a fictionalised account of the life of Zulu king Shaka kaSenzangakhona, is considered a classic of world literature. The coastal city of Monrovia, Liberia’s capital and largest city. Monrovia is named after American president James Monroe (1758 – 1831), a prominent supporter of the colonisation of Liberia by the resettlement of freed slaves. National heritage site: Providence Island is a former trade post and was the first point of arrival for freed American Slaves. The guitar-shaped island has a cement pillar and concrete floor believed to be the first concrete work in the history of the country, as well as an ancient water well and an old docking platform for incoming canoes and ships. On the site is also a 250-year-old cotton tree, the oldest in Liberia. Born in Liberia: Footballer George Weah, one of the greatest African players of all time, and one of Fifa’s top 100 greatest living footballers in the world. Did you know? In the late 19th century Liberia was settled by some 13,000 freed American slaves, who gave the country its name, and named its capital, Monrovia, after US President James Monroe. The Americo-Liberian settlers initially encountered stiff and sometimes violent opposition from the people already living there. These original Liberians were denied citizenship of Liberia, and the right to vote, until 1904. 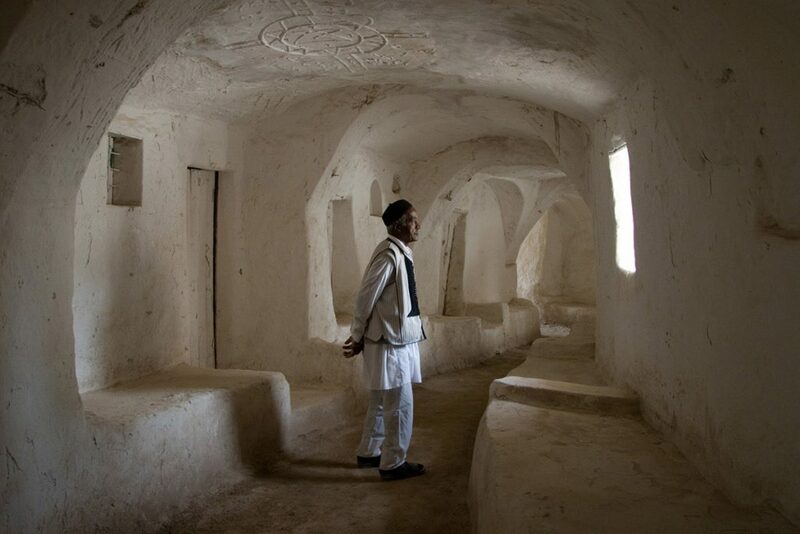 In the ancient desert oasis town of Ghadames in northwestern Libya, buildings are designed with thick walls of mud, lime, and palm tree trunks to withstand the Sahara’s extremes of heat and cold. Covered alleyways between dwellings help cut the summer heat. World Heritage Site: Cyrene was one of the principal cities in the ancient Hellenic world. Born in Libya: American filmmaker Don Coscarelli. Did you know?The Barbary Coast War was fought from 1801 to 1805 between the USA and today’s Libya, Algeria, Tunisia and Morocco. This was the very first USA military action in foreign lands to be authorised by the US Congress. World Heritage Site: The Royal Hill of Ambohimanga, the cradle of a 500-year-old kingdom and dynasty that retains enormous spiritual importance to this day. Born in Madagascar: French-language novelist Claude Simon, winner of the 1985 Nobel Prize for Literature. Did you know? 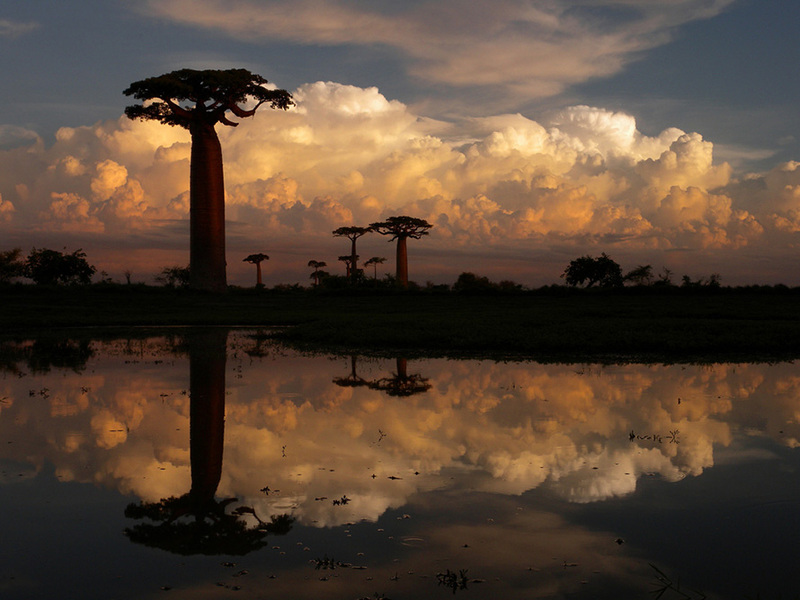 Because Madagascar has been an island for 88-million years, 90% its wildlife is endemic – found nowhere else on Earth. A sense of the size of Lake Malawi, in a view from the road to the town of Livingstonia in the north of the country. Lake Malawi also borders Tanzania, where it is known as Lake Nyasa, and Mozambique, where it is known as Lago Niassa. It is the ninth largest lake in the world and home to more species of fish than any other. Some 90% of these species are endemic, only found in Lake Malawi. World Heritage Site: The Chongoni Rock Art Area, lying in a cluster of forested granite hills high on the plateau of central Malawi, holds the richest concentration of rock art in Central Africa. Born in Malawi: Internationally recognised fashion designer Lily Alfonso. Did you know? Lake Malawi, the country’s other World Heritage Site, takes up a full third of the country’s land area. Over geological time the lake periodically dries out. Between the years 1390 and 1860 its water level was 150 metres lower than it is today. 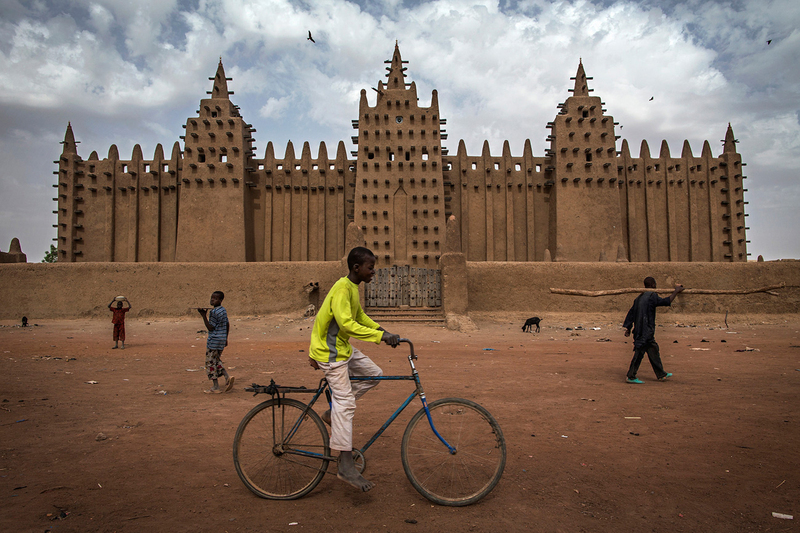 The Grand Mosque of Djenné in the Niger Delta region of central Mali is the largest adobe – mud-built – structure in the world. The first mosque on the site is thought to have been built in the 1200s. The current structure is a century old, built in 1907. After the rainy season the mosque’s surface has been washed thin, so the local community gathers to replaster it. The protruding wooden struts are not structural: they provide footholds so people can reach every part of the building to reseal its surface with mud. World Heritage Site: The city of Timbuktu was an intellectual and spiritual capital and the centre of Islamic thought in Africa from the 15th to the 16th centuries. Born in Mali: Award-winning Afro-pop singer and songwriter Salif Keïta, known as the “Golden Voice of Africa”. Did you know? 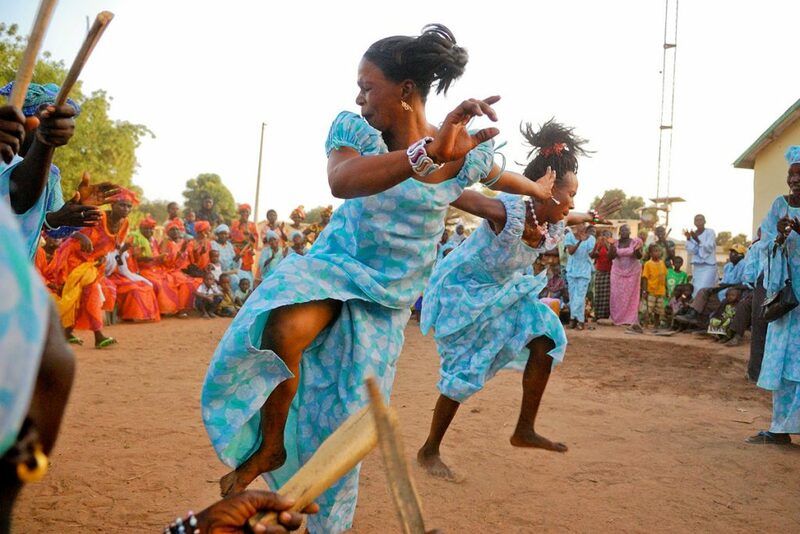 Malian musical traditions are derived from the griots, who are known as “Keepers of Memories”. 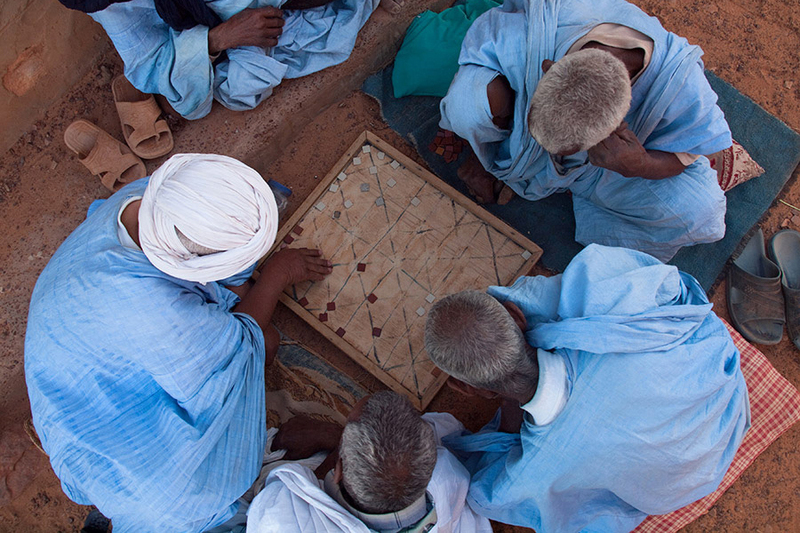 Men playing the traditional Mauritanian board game of Kharbaga – similar to zamma and draughts – in Ouadane (or Wādān), a small town in the desert region of central Mauritania. 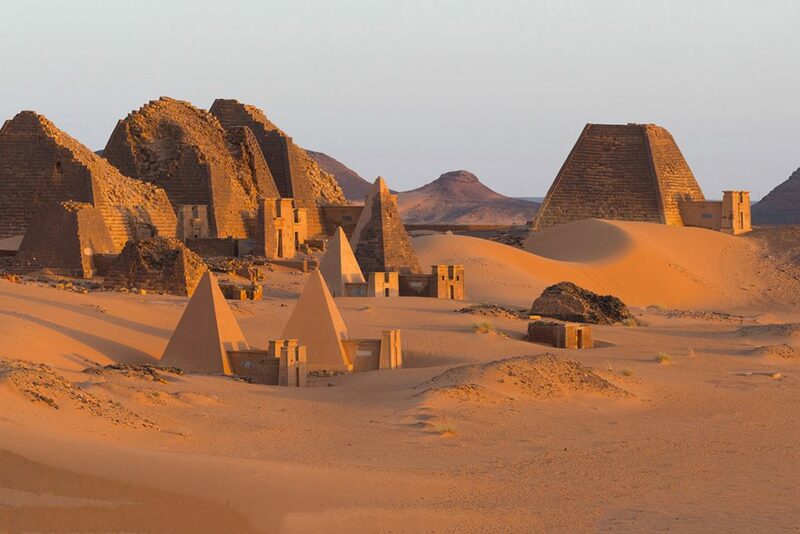 World Heritage Site: The Ancient Ksour of Ouadane, Chinguetti, Tichitt and Oualata were trading and religious centres founded in the 11th and 12th centuries to serve caravans crossing the Sahara. Born in Mauritania: Film director and voice actor Med Hondo. Did you know?Ninety percent of Mauritania’s land is part of the Sahara Desert, so the country’s population concentrates in the more watered south. 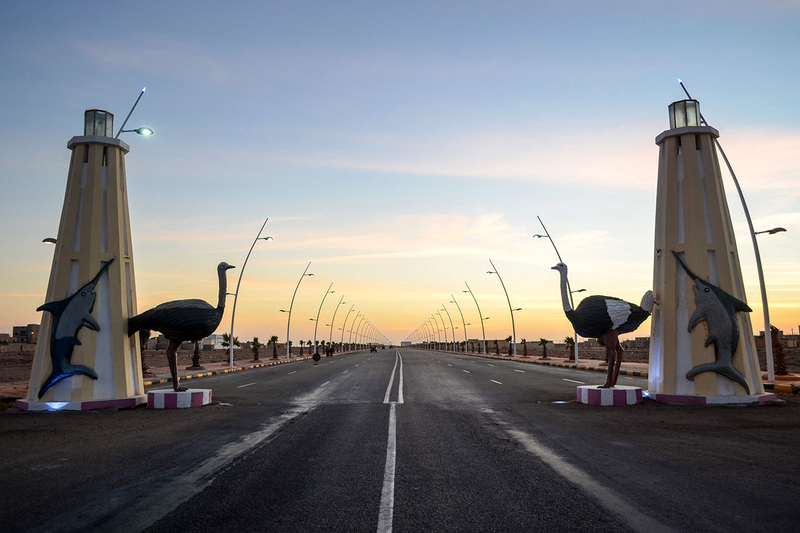 A full third of the 3.5-million Mauritanians live in the coastal city of Nouakchott. 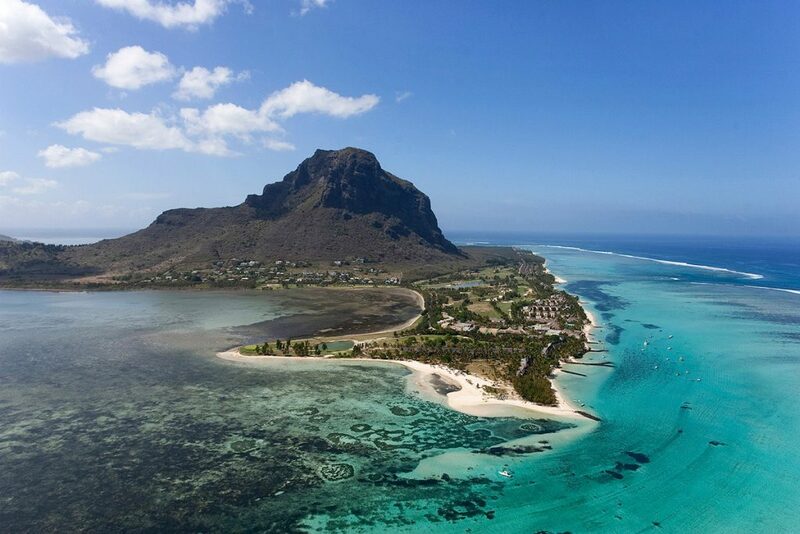 Le Morne Brabant Peninsula in Mauritius. The island’s natural beauty has allowed it to develop a successful tourism industry, which contributes some 8.4% to the country’s GDP. World Heritage Site: Aapravasi Ghat, a fortlike stone complex established by the UK in 1834, a year after slavery was abolished, as a global transit point for a new kind of slavery: indentured labour. About half a million mainly Indian labourers were processed through the site from 1849 to 1923. Born in Mauritius: Screen actor Françoise Pascal, who played Paola in the 1970 Peter Sellers movie There’s a Girl in My Soup and starred in British TV series such as Coronation Street and Mind Your Language. Did you know? Life expectancy in Mauritius is 73, the highest in Africa. 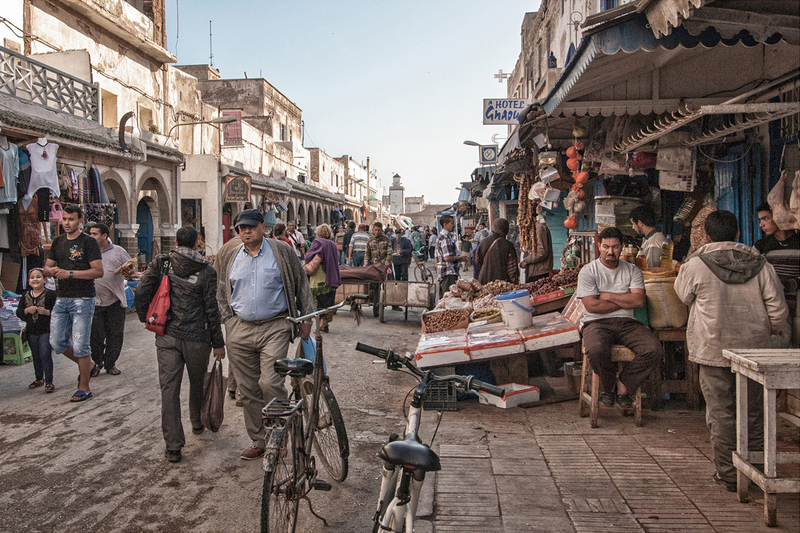 Street life in Essaouira, an ancient city in western Morocco on the Atlantic coast. World Heritage Site: The Medina of Marrakesh, a massive old Islamic capital from the 11th century enclosed by 16 kilometres of ramparts and gates. Did you know? Morocco’s Atlas Studios are the largest film studios in the world, by area. Portions of the Game of Thrones series have been filmed there, as were the movies Gladiator (2000) and Kingdom of Heaven (2005). The Chapel of Nossa Senhora de Baluarte (Our Lady of the Bulwark) lies next to Fort São Sebastião on the easternmost tip of the Island of Mozambique (Ilha de Moçambique), off the coast of northern Mozambique. Portuguese colonial forces established a port and naval base on the island in 1507. The chapel, built in 1522, is thought to be the oldest European building in the southern hemisphere. World Heritage Site: The Island of Mozambique and its fortified city was a former Portuguese trading post on the route to India, used since the 16th century. Born in Mozambique: Legendary footballer Eusebio. Did you know? Mozambican cuisine is strongly infused with the 500-year presence of Portuguese culture, with dishes such as prego steak rolls, battered shrimp, espetada kebabs and chicken in piri-piri sauce, and the use of onions, bay leaves, garlic, fresh coriander, paprika, chili peppers, red sweet peppers and wine as seasonings. The pretty harbour town of Lüderitz on the forbidding west coast of Namibia, on the Atlantic seaboard, was one of the country’s earliest colonial settlements. Today it is a niche tourist destination. World Heritage Site: The Namib Sand Sea, covering an area of over 3-million hectares, is the only coastal desert in the world that includes extensive dune fields influenced by fog. Born in Namibia: Record-breaking Olympic track and field athlete Frank “Frankie” Fredericks. Did you know? Namibia’s name is derived from the Namib Desert, considered to be the oldest desert in the world. 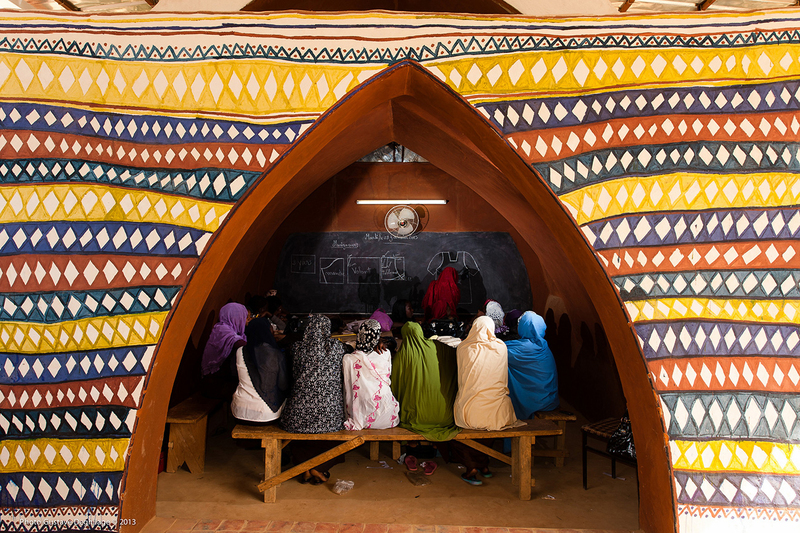 A classroom at Carrefour Jeunesse Niger, a vocational dressmaking school in Niamey. The school designed by architect Odile Vandermeeren and constructed by local artisans using traditional adobe building techniques, with the murals painted by local female artists. The project was a finalist in the international Terra Award for earthen architecture. World Heritage Site: Agadez, known as the gateway to the Sahara desert, developed in the 15th and 16th centuries when the Sultanate of Aïr was established and Touareg groups settled in the city in the boundaries of nomadic encampments, creating street patterns still in place today. Born in Niger: World-famous Senegalese musician Ismaël Lo was born in Dogondoutchi, Niger, to a Senegalese father and a Nigerien mother. Did you know? From the mid-15th to the late 16th century, the Songhai Empire in what is today Niger was one of the largest Islamic empires ever to exist. The National Mosque of Nigeria in Abuja, the country’s capital. The building was constructed in 1984. World Heritage Site: The dense forest of the Osun Sacred Grove, on the outskirts of the city of Osogbo, is one of the last remnants of primary high forest in southern Nigeria. It is regarded as the abode of the goddess of fertility Osun, one of the pantheon of Yoruba gods. Born in Nigeria: Screen actor Hakeem Kae-Kazim, whose film and TV credits include Hotel Rwanda, Wolverine, Law and Order SVU, CSI Los Angeles, 24 and Black Sails. Did you know? Amnesty International is seeking a criminal inquiry into Shell over the international oil company’s alleged complicity in murder and torture in Nigeria. The rights group’s full evidence review includes statements alleging Shell, an Anglo-Dutch organisation, managed an undercover police unit in the 1990s after its operations ended in Ogoniland. Author and activist Ken Saro-Wiwa was executed in Nigeria in 1995. 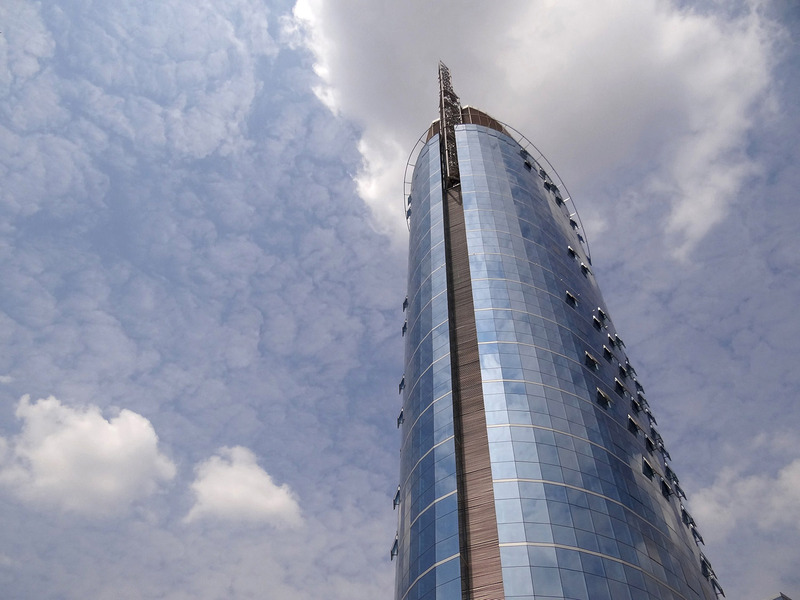 Clouds in the sky above Kigali City Tower on Avenue du Commerce in the central business district of Kigali, the capital and largest city of Rwanda. World Heritage Sites: Nyamata, Murambi, Bisesero and Gisozi, memorial sites of the 1994 Genocide. Born in Rwanda: French model, screen actor, producer and philanthropist Sonia Rolland. Named Miss France in 2000, she was the first African-born winner of the pageant. Her screen credits include the films Madame (2017) and The French Minister (2013) and the TV series Toussaint Louverture (2012) and Les invincibles (2011). Did you know? Rwanda and Bolivia are the only two countries in the world to have a female majority in parliament. 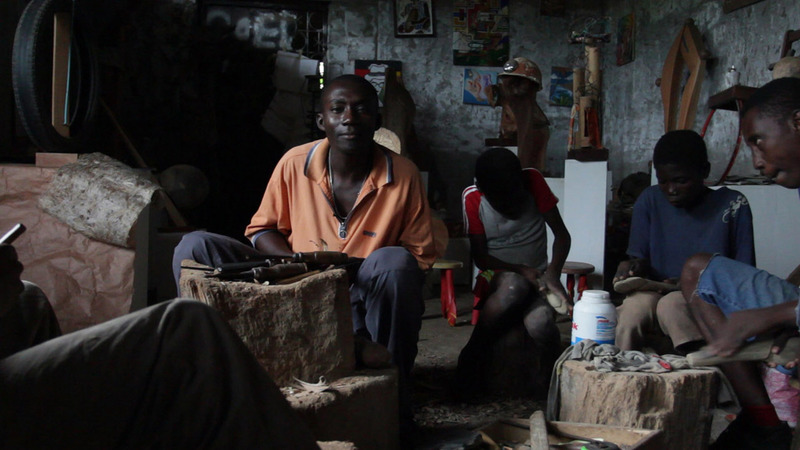 Unnamed craftsmen in their workshop on São Tomé. São Tomé is the larger, southern island in the country of São Tomé and Príncipe. Born in São Tomé and Príncipe: Pianist, teacher and composer José Vianna da Motta, one of the last pupils of Franz Liszt. Did you know? São Tomé and Príncipe is the smallest of the world’s 10 official Portuguese-speaking countries. Brazil is by far the largest. 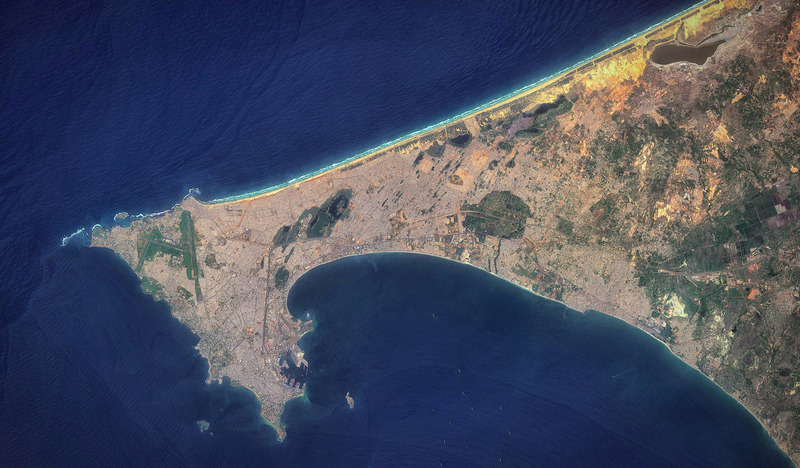 Western Dakar, the capital of Senegal, in an image captured by the Sentinel 2A satellite on 10 October 2016 and processed by @anttilip. This arrow-shaped peninsula is the westernmost point of the African continent. World Heritage Site: The island of Gorée was the largest slave-trading centre on the African coast between the 15th and 19th centuries. Born in Senegal: Singer Youssou N’Dour. Did you know? In the 1960s and ’70s, Senegal was a prime global filmmaking location, especially for French movies. 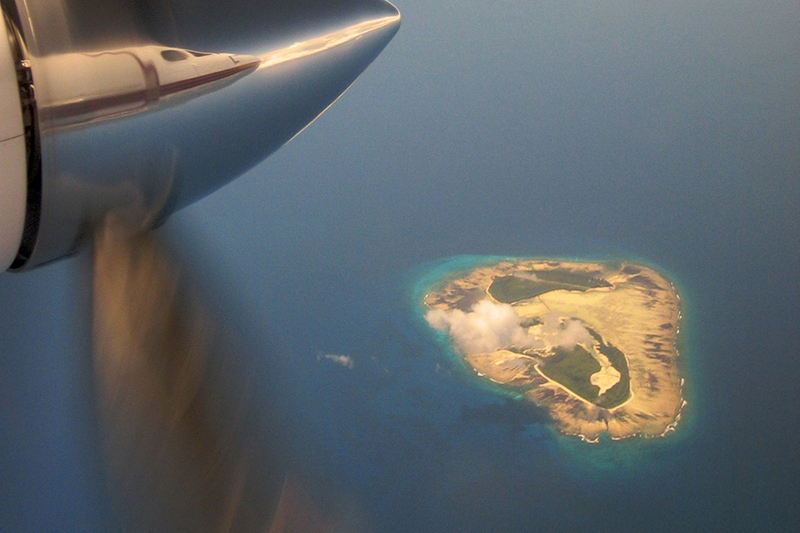 View from an airplane of the Outer Islands of the Seychelles archipelago in the Indian Ocean. World Heritage Site: Aldabra Atoll, four coral islands enclosing a lagoon and surrounded by a coral reef. Protected from human intrusion, the atoll is a safe haven for some 152,000 giant tortoises, the world’s largest population of the reptile. Born in Seychelles: Eddy Maillet, a Fifa international football referee. Did you know? Seychellois society is essentially matriarchal. Mothers tend to be dominant in the household, controlling most expenditure and looking after the interests of the children. 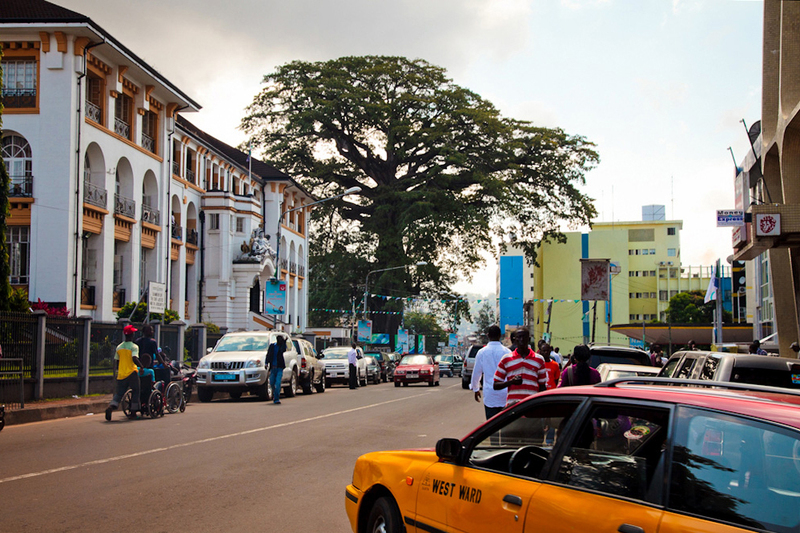 The Old Cotton Tree in the oldest part of Freetown, the capital of Sierra Leone, with the country’s Supreme Court building to the left. The massive tree, thought to be about 500 years old, is a historic symbol of the city. On 11 March 1792 some 400 African slaves, liberated for fighting for the British in the American War of Independence, landed on the shore of modern Freetown. They walked up to the great tree above the bay and there held a service of thanksgiving for their freedom. World Heritage Site: Bunce Island on the Sierra Leone River was established as a slave trading station in 1670. 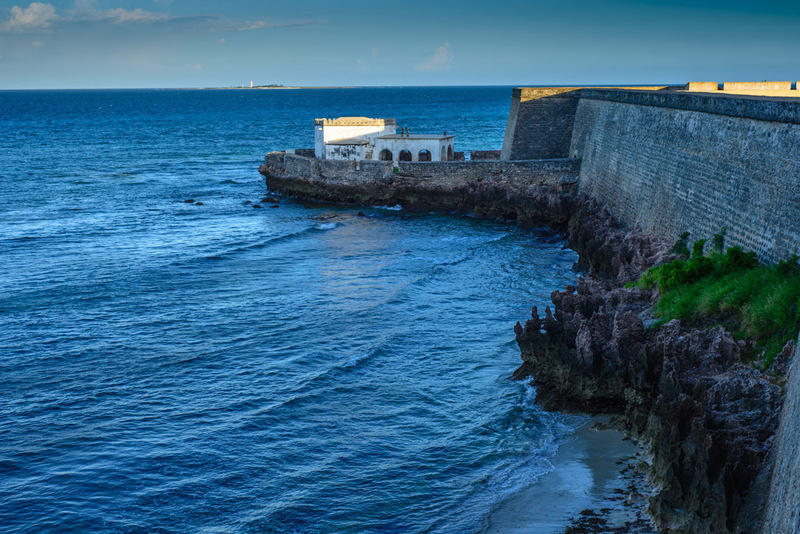 From here British traders shipped tens of thousands of African slaves to the Americas. Born in Sierra Leone: Ishmael Beah, a former child soldier and the author of A Long Way Gone: Memoirs of a Boy Soldier. His first novel, Radiance of Tomorrow, was published in 2014. Did you know? The paternal grandfather of Manchester United’s Ryan Giggs, the most decorated player in English and Welsh football history, was Sierra Leonean. Actor Idris Elba was born to a Sierra Leonean father and Ghanaian mother. 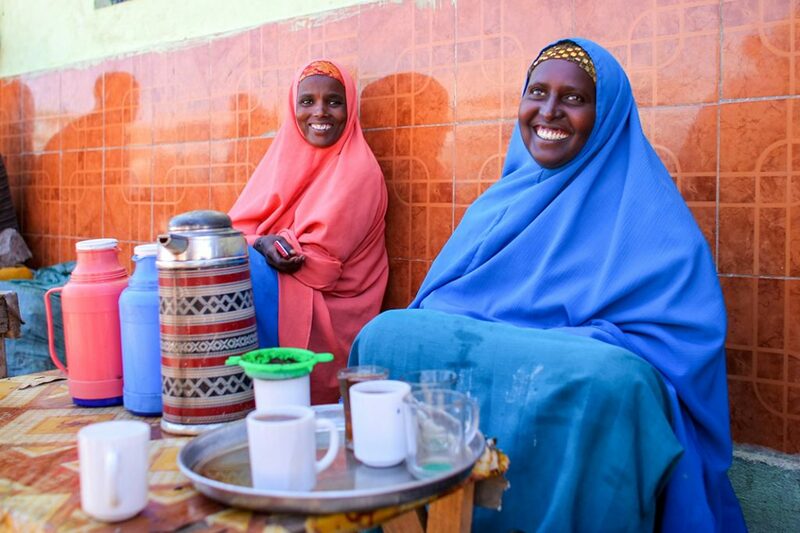 Women selling tea in Buur-Hakba, a city in southwestern Somalia some 180 kilometres inland from the coastal capital of Mogadishu. Born in Somalia: International supermodel Iman Abdulmajid, the wife of late British musician David Bowie. Did you know? An Islamic ruin in the Horn of Africa has yielded pottery from the 13th century Chinese Yuan dynasty, suggesting that trade routes across the Indian Ocean were established long before European colonists took to the seas. 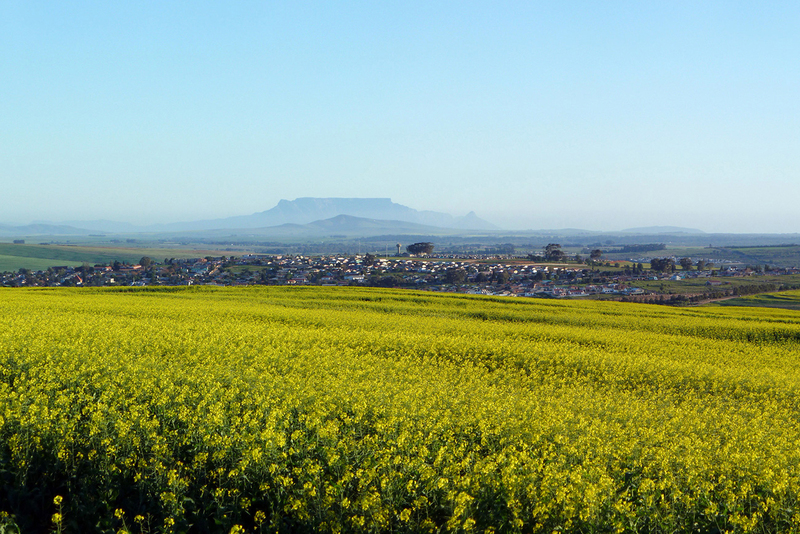 Canola fields and the South African town of Clanwilliam in the Olifants River valley region of the Cederberg. Cape Town’s Table Mountain can be seen in the distance, 200 kilometres to the south. World Heritage Sites: South Africa has nine Unesco World Heritage Sites. Five are cultural, three natural, and one of mixed cultural and natural heritage. The five cultural sites are the ǂKhomani Cultural Landscape, the Mapungubwe Cultural Landscape, the Richtersveld Cultural and Botanical Landscape, Robben Island, and the country’s rich fossil hominid sites. The three natural sites are the Cape Floral Region, iSimangaliso Wetland Park and the ancient Vredefort Dome meteor impact site. Finally, the uKhahlamba Drakensberg Mountains are valued for both their natural beauty and the rich cultural heritage of San Bushman paintings found in their caves and rock shelters. Born in South Africa: Businessman, investor, engineer and inventor Elon Musk. Musk is the founder and CEO of SpaceX, co-founder and CEO of Tesla, co-chair of OpenAI, and founder and CEO of Neuralink. He is ranked 21st on the Forbes list of the world’s most powerful people. Did you know? South Africa has the largest HIV antiretroviral treatment programme in the world, bigger than the programmes in India, Zimbabwe, Kenya and Mozambique combined. Some 3.5-million HIV-positive South Africans receive government-funded antiretroviral therapy. The Kush Dance Group performs at the Comedy for Peace event at the Nyakuron Cultural Centre in Juba on 23 April 2017. The event featured the best of South Sudanese comedians and musicians, including Emmanuel Kembe, Woklii, Feel Free, Lotole Captain Eddy and Kon Kuol Kon. Born in South Sudan: Luol Deng, player for the US Miami Heat professional basketball team. Did you know? South Sudan became an independent state on 9 July 2011, after a referendum in which 98.83% of voters agreed to secession from Sudan. The pyramids of Kushite rulers at Meroë, an ancient city on the banks of the Nile River in eastern Sudan. Meroë was the capital of the Kingdom of Kush, one of the earliest and largest states in precolonial sub-Saharan Africa, which flourished from around 1,000 BCE to 350 CE. World Heritage Site: The archaeological sites of Gebel Barkal and the Napatan region in the Nile valley, testimony to the Napatan (900 to 270 BC) and Meroitic (270 BC to 350 AD) cultures of the second kingdom of Kush. Born in Sudan: Telecoms billionaire Mo Ibrahim, founder of the Mo Ibrahim Foundation and the associated prize for good governance in Africa. Did you know? Sudanese culture is an amalgam of 578 ethnic groups communicating in 145 different languages, living in a region with extremes varying from sandy desert to tropical forest. 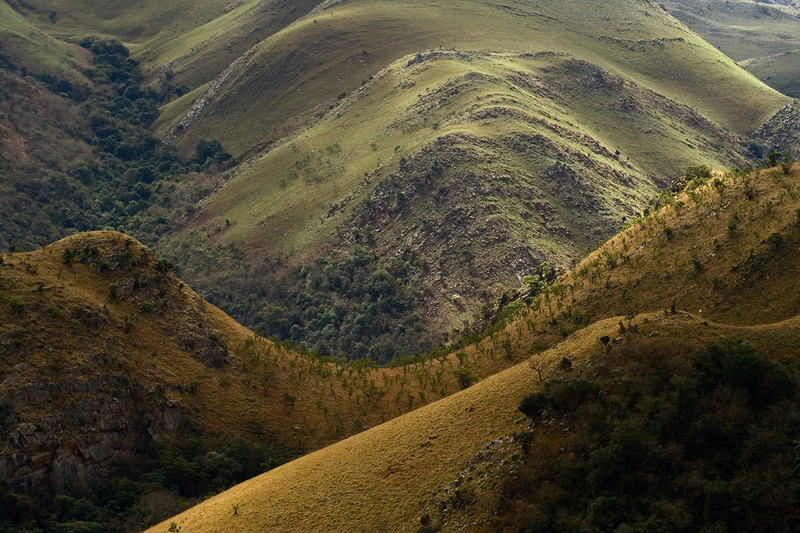 Hillscape in the Malolotja Nature Reserve, Swaziland. National heritage site: Ngwenya Mine is the site of the world’s earliest mining activity, and its iron ore deposits one of the oldest geological formations in the world. Born in Swaziland: Screen actor Richard E Grant, whose films include Withnail and I, Corpse Bride and Downton Abbey. Did you know? Swaziland lies across a geological fault that runs from the Drakensberg in the south, northwards through Zimbabwe to form the Great Rift Valley of Kenya. 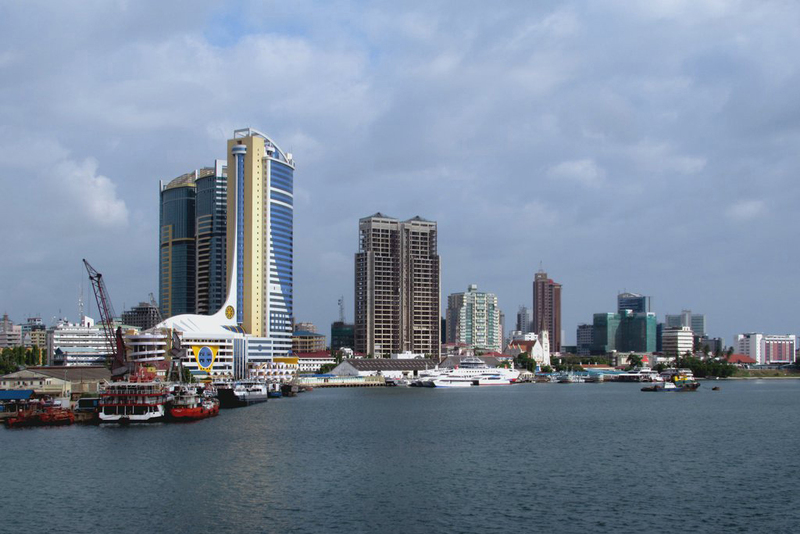 The waterfront skyline of Dar es Salaam, Tanzania’s largest city. With 4.4-million people, Dar is the biggest city in East Africa and home to the largest Swahili-speaking population in the world. It was founded in 1865 by Sultan Majid bin Said of Zanzibar, who gave the city its name. Dar es Salaam means “place of peace” in Arabic. Born in Tanzania: Freddie Mercury, legendary lead singer of the rock band Queen. Did you know? Two millennia of rock carvings, many of high artistic value, have been found at 150 stone shelters at the Kondoa Rock Art Sites. 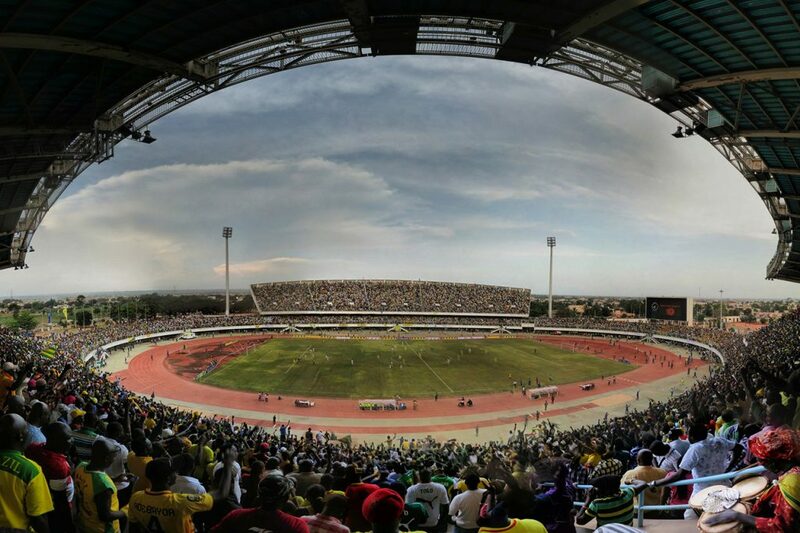 An African Cup of Nations qualifier football match between Togo and Gabon at the Stade de Kégué in Lomé, the Togolese capital, on 14 October 2012. Togo won by two goals to one. World Heritage Site: Koutammakou, the land of the Batammariba people, whose remarkable mud tower-houses (takienta) have become a symbol of Togo. Born in Togo: Professional footballer Emmanuel Adebayor, a forward who has played for Arsenal, Monaco, Manchester City, Real Madrid, Crystal Palace and İstanbul Başakşehir. Did you know? The largest religious group in Togo are those with “indigenous” beliefs, although there are significant Christian and Muslim minorities. The Demna Baptistry, from the sixth century CE. This large Christian baptismal font was designed to allow the whole body of the baptised person to be submerged in water. 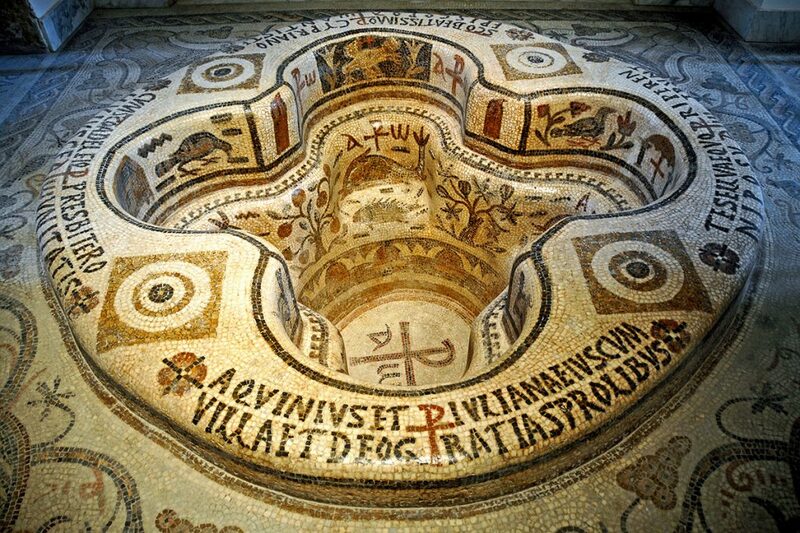 Discovered in Demna, Jbal Lahmar, near Tunis in Tunisia, it is one of the finest early Christian mosaics found in Africa and in the whole of the ancient Roman world. World Heritage Site: The Amphitheatre of El Jem, built during the third century. Born in Tunisia: French-Italian actor Claudia Cardinale, whose film credits of over 100 films include Federico Fellini’s 8½ (1963), and Sergio Leone’s epic Once Upon a Time in the West (1968). Did you know? Women in Tunisia enjoy some of the greatest rights and freedoms in the Arab world. 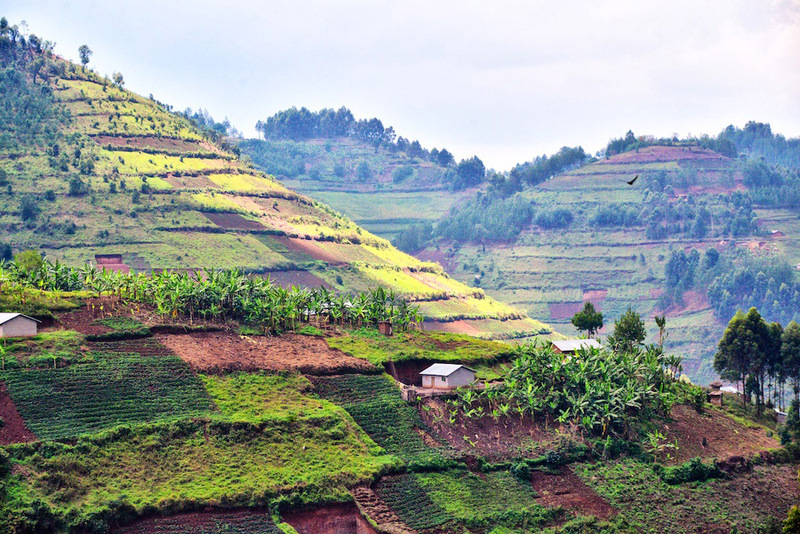 The fields of small-scale farmers blanket hillsides in Kikungiri near the town of Kabale in southeastern Uganda. World Heritage Site: The Tombs of Buganda Kings at Kasubi, the former palace of the Kabakas of Buganda, built in 1882 and converted into a royal burial ground in 1884. Born in Uganda: Veteran stage and screen actor Danny Keogh, a founder of the Market Theatre in Johannesburg, South Africa, whose film credits include Invictus and Starship Troopers. Did you know? Uganda is a landlocked country, but contains many large lakes – the massive Lake Victoria, as well as Lake Kyoga, Lake Albert, Lake Edward and the smaller Lake George. The road into Boujdour, also known as Cape Bojador, a city in the desert on the Atlantic coast of Western Sahara. Did you know? Western Sahara has been on the United Nations list of non-self-governing territories since 1963. It is the most populous and by far the largest territory on that list. Along its eastern border it is controlled by the self-proclaimed Sahrawi Arab Democratic Republic; the west of the country is occupied by Morocco. 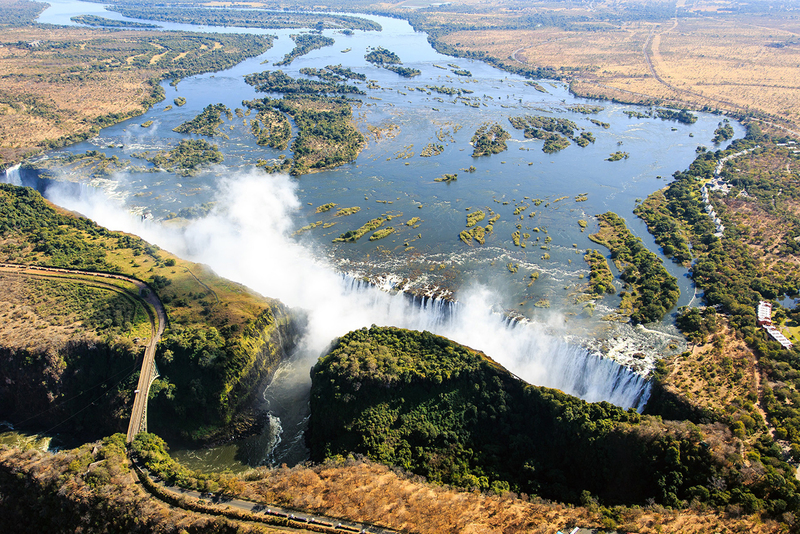 An aerial view of the massive Zambezi River – which gives Zambia its name – and the Victoria Falls. The waterfall, named Mosi-oa-Tunya or “the smoke that thunders” in Tokaleya Tonga, is said to be the biggest in the world. Its combined width of 1,708 metres and height of 108 metres result in the world’s largest sheet of falling water. Here Zambia’s border with Zimbabwe runs along the middle of the river, with Zimbabwe on the left and Zambia on the right. The steel Victoria Falls bridge at lower left is a border post between the countries. World Heritage Site: The Victoria Falls – Mosi-oa-Tunya, “the smoke that thunders” – is the world’s largest sheet of falling water, significant for the beauty of its spray, mist and permanent rainbows. Born in Zambia: Globally bestselling writer Wilbur Smith, the author of over 30 blockbuster adventure novels. Did you know? Zambia gets its name from the great Zambezi River, the fourth-longest river in Africa, the continent’s longest east-flowing river and the largest river to flow into the Indian Ocean. 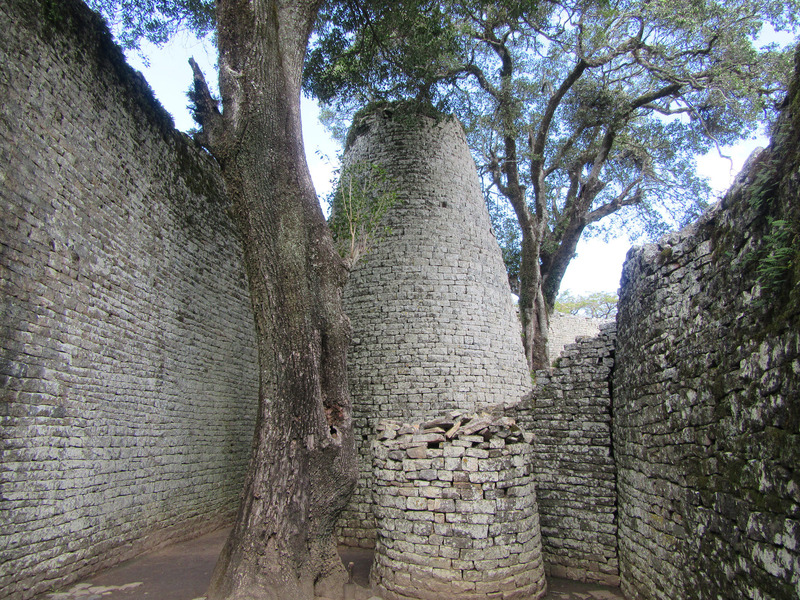 Inside the citadel of Great Zimbabwe, the ancient Shona city in the southeastern province of Masvingo. The 722-hectare city was the capital of the medieval Kingdom of Zimbabwe, which flourished for over two centuries from 1220 to 1450. World Heritage Site: The ruins of Great Zimbabwe are a unique testimony to the Bantu civilization of the Shona between the 11th and 15th centuries. Born in Zimbabwe: Tendai “The Beast” Mtawarira, a rugby player for the South African national team and the Sharks in the Super Rugby competition. Did you know? Zimbabwe has 16 official languages and, under the constitution, the country’s parliament may prescribe other languages as officially recognised. Photos: See individual credit and link in the caption of each photo. Gross domestic product (GDP): UN World Statistics Pocketbook 2016. Current (nominal) GDP for 2014, in US dollars. GDP per person: UN World Statistics Pocketbook 2016. Current (nominal) GDP for 2014, in US dollars. Human Development Index: United Nations Development Programme – Human Development Report 2016. Figures for 2015. Total carbon dioxide (CO2) emissions a year: Carbon Dioxide Information Analysis Center. Figures are for 2014. CO2 emissions per person: Carbon Dioxide Information Analysis Center. Figures are for 2014. The global average is 5 tons per person. Born in: See references and links in each listing. Did you know? See references and links in each listing.